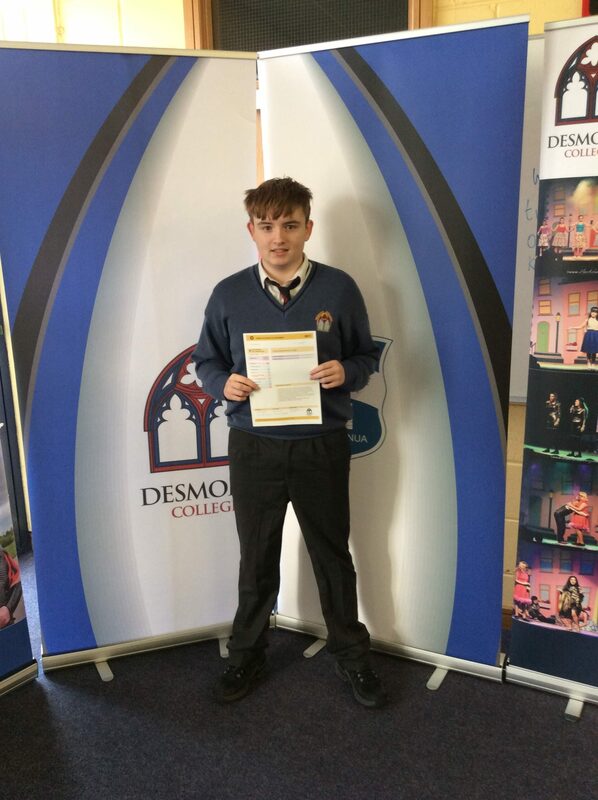 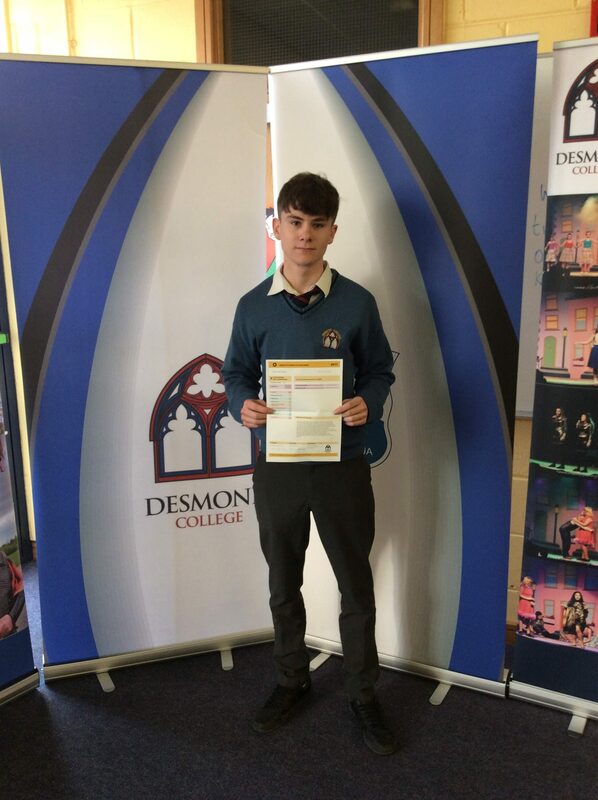 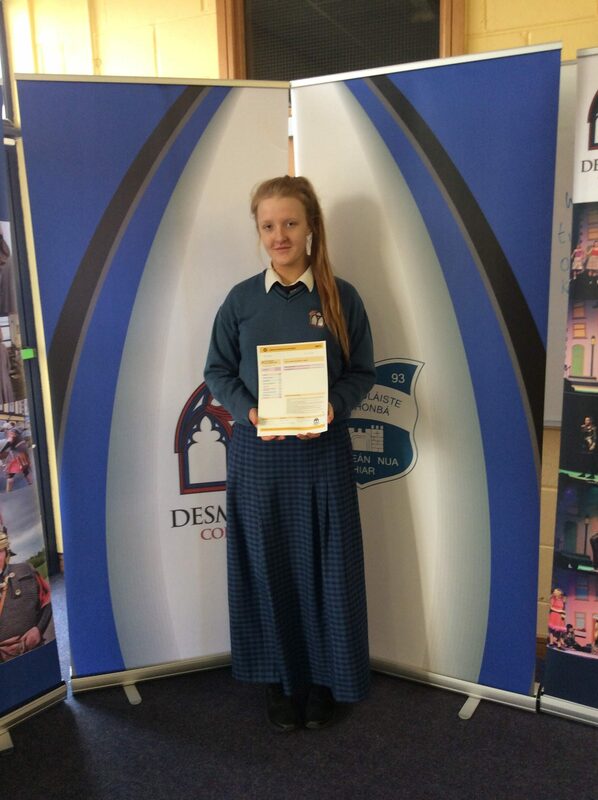 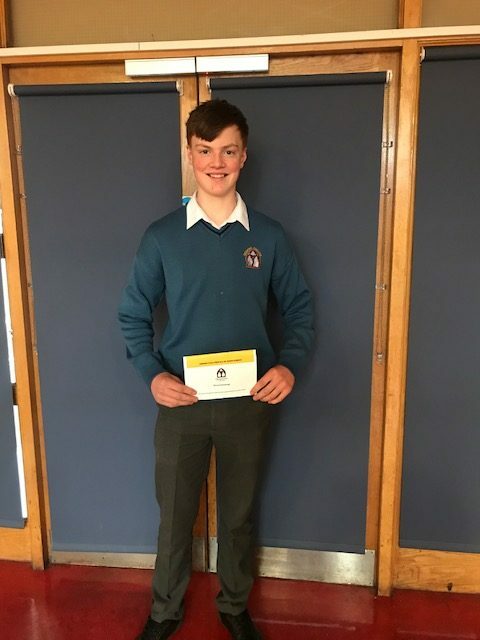 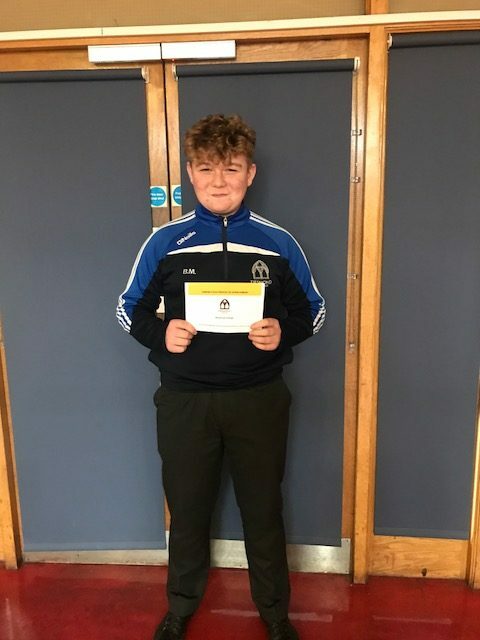 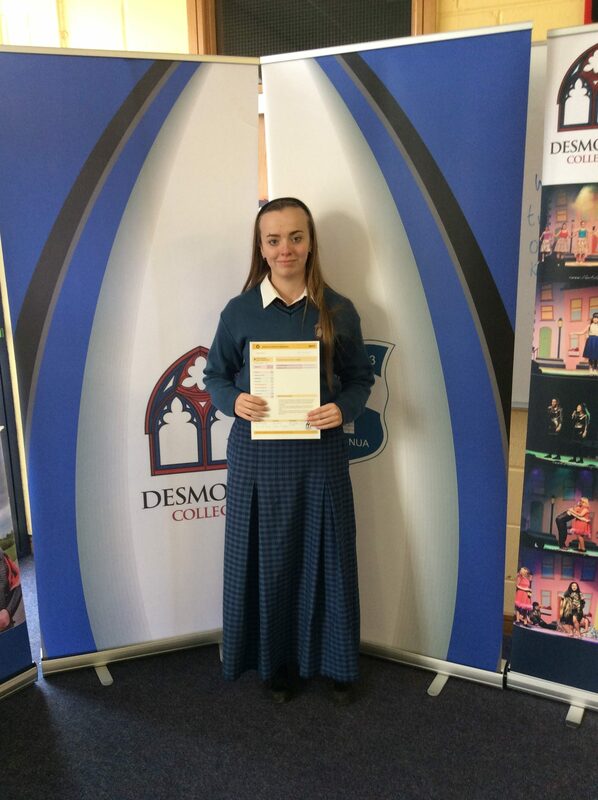 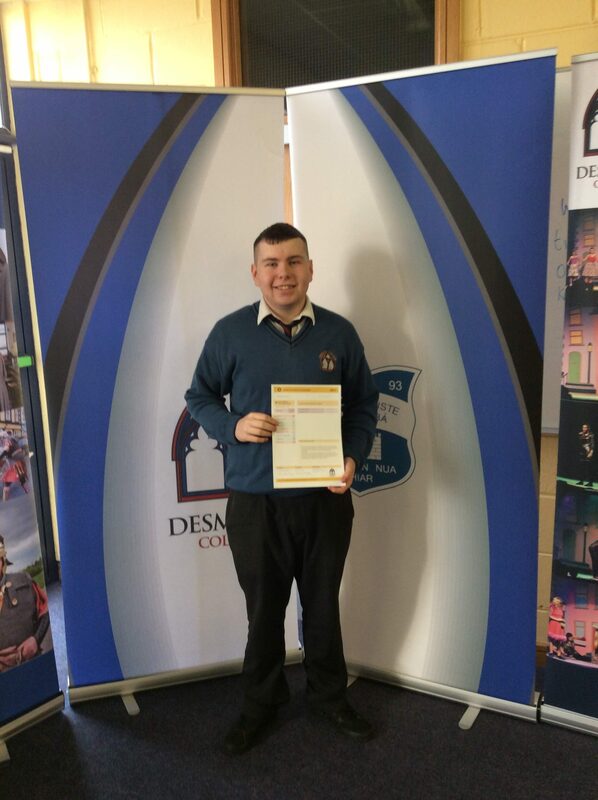 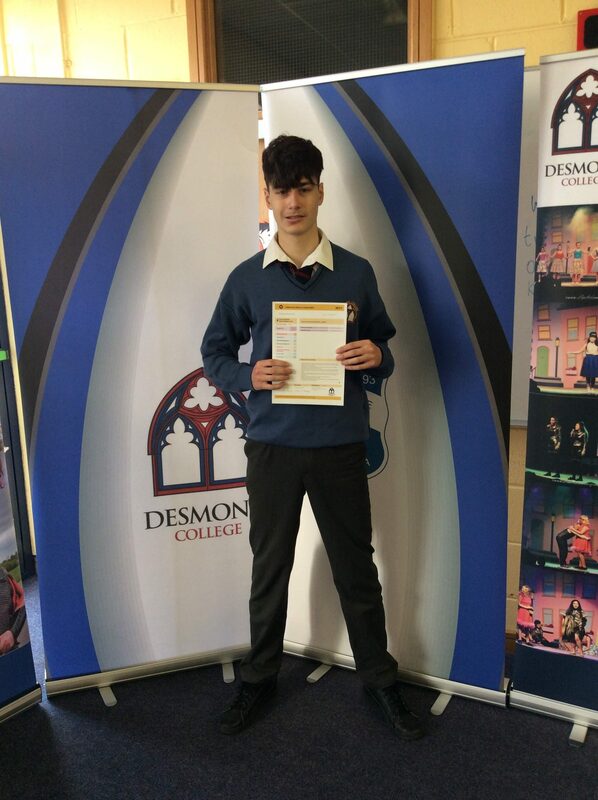 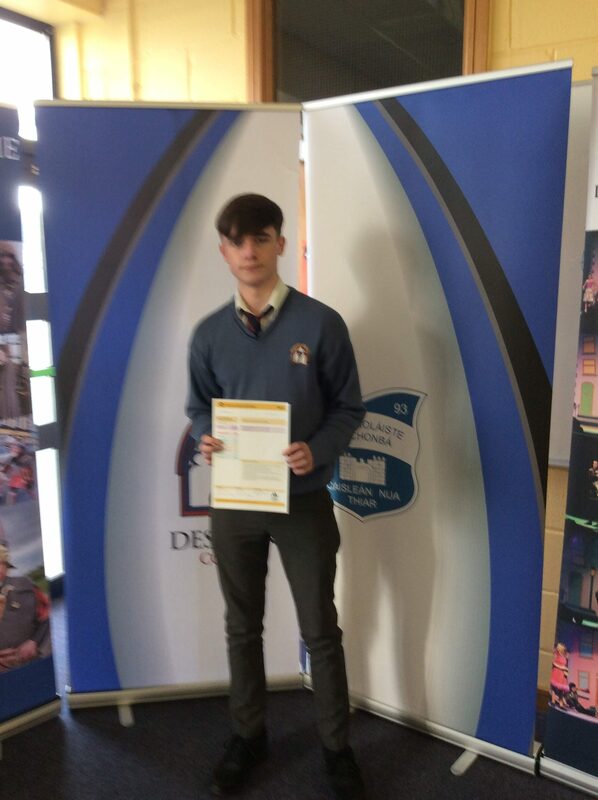 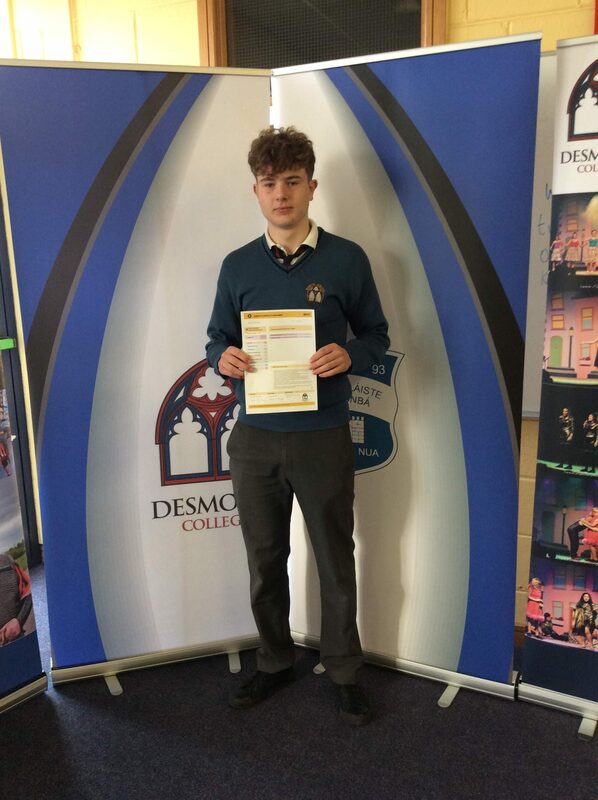 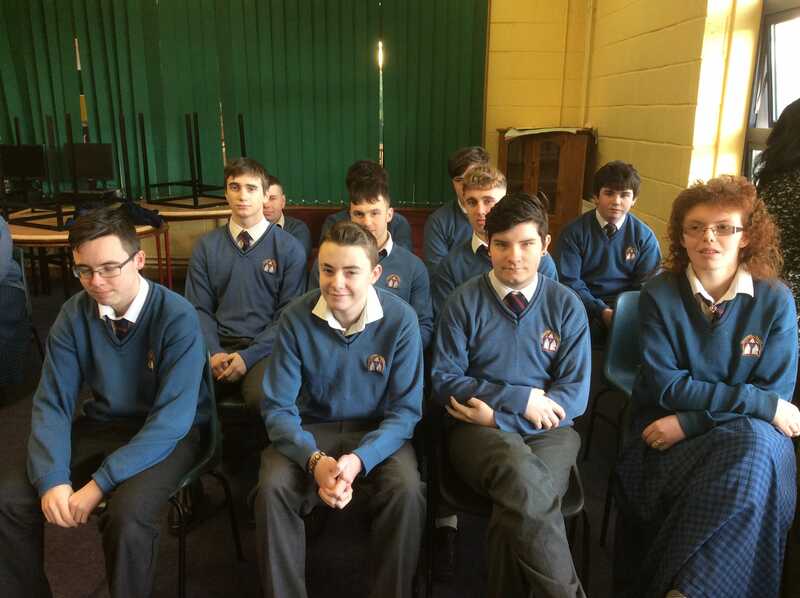 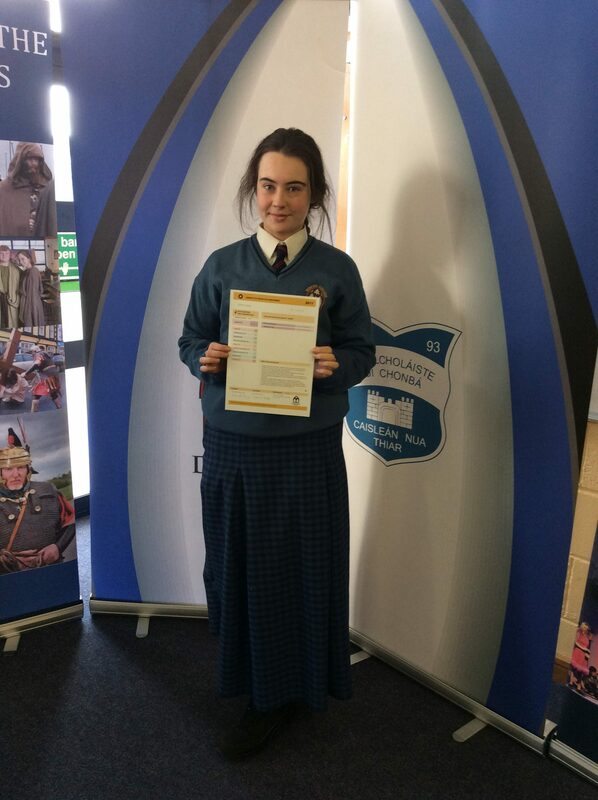 Junior Cycle Profile of Achievement Presentations took place on Monday 26th February 2018. 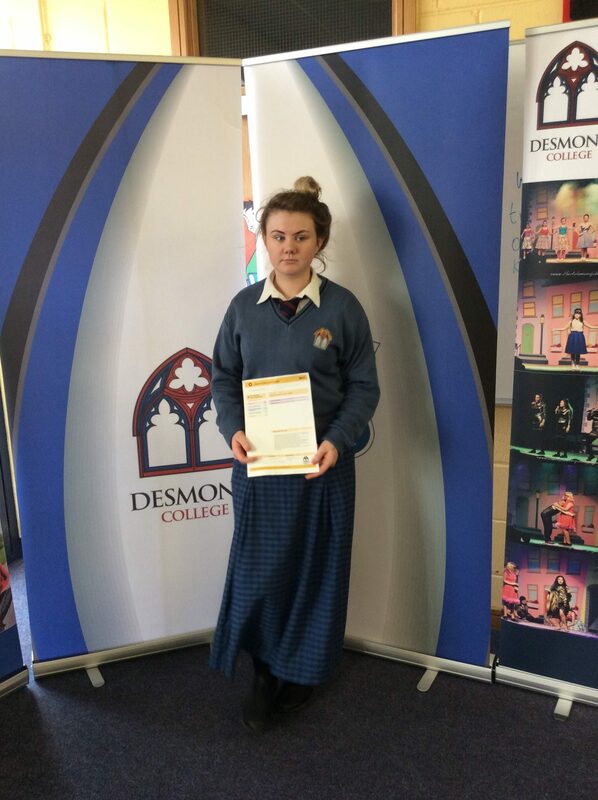 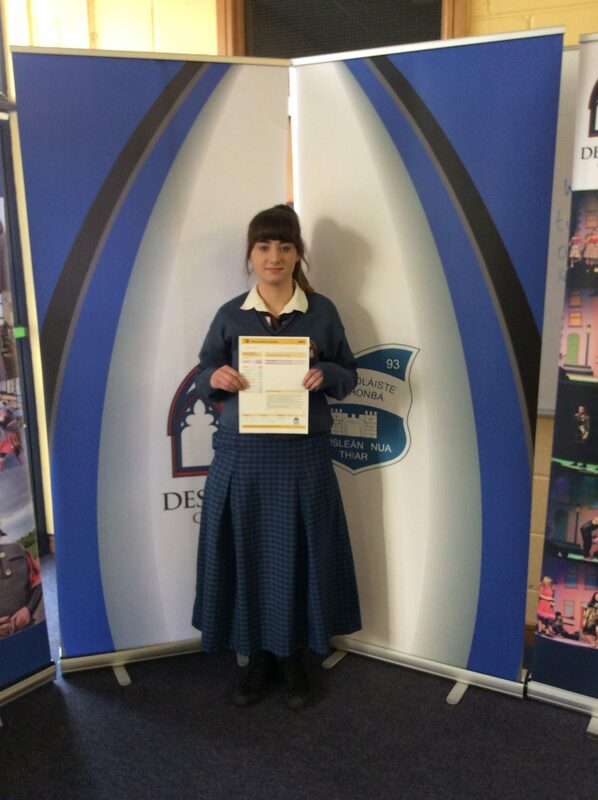 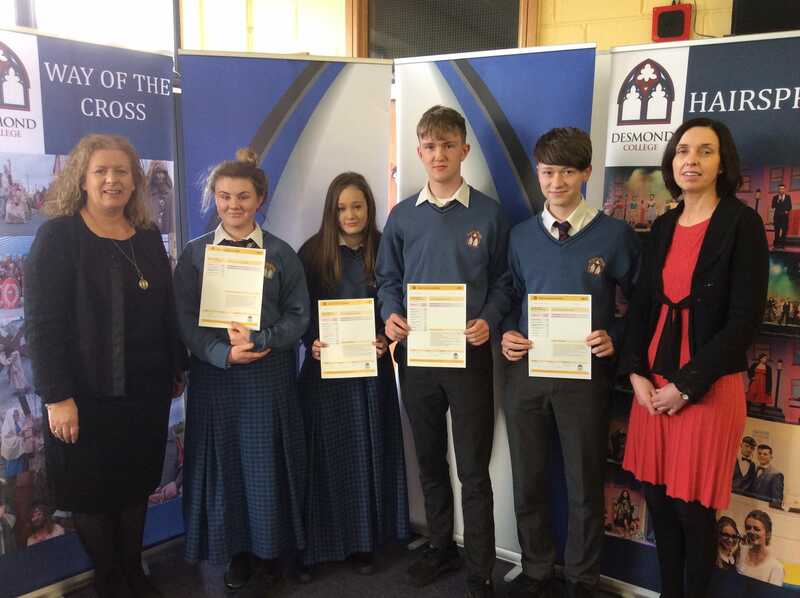 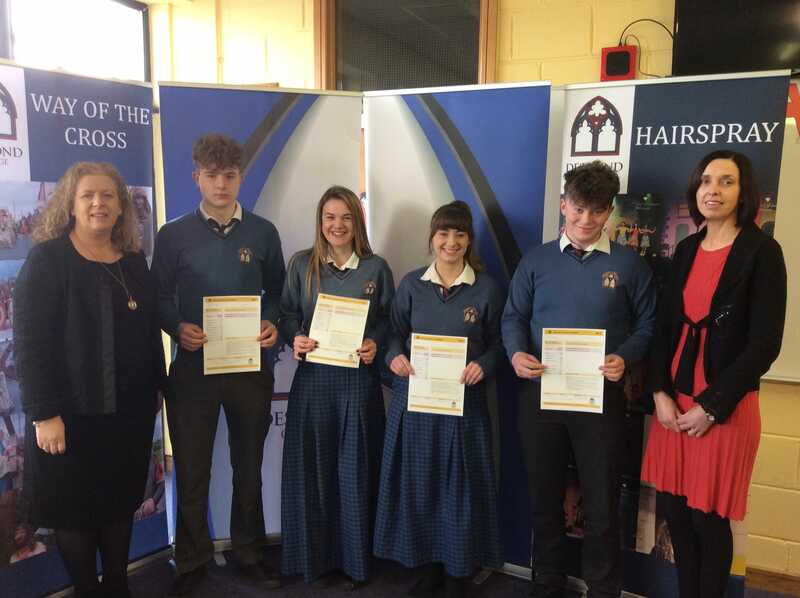 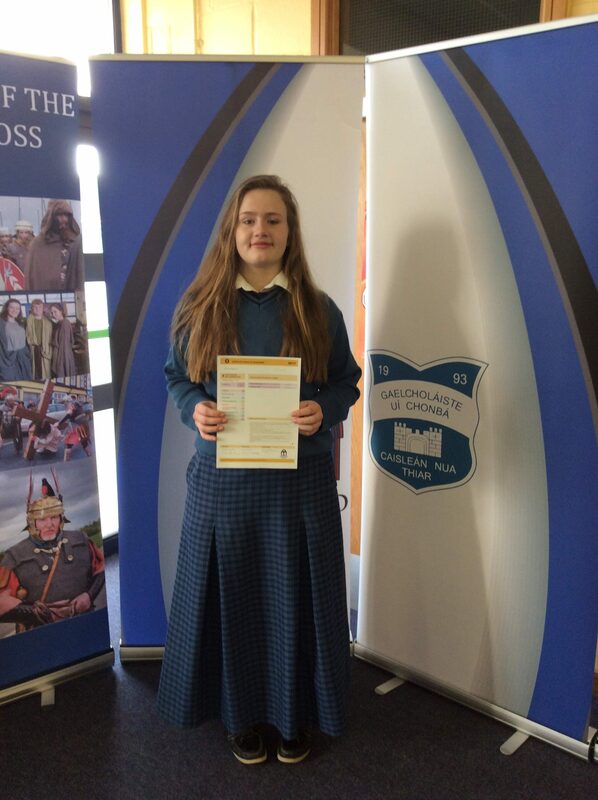 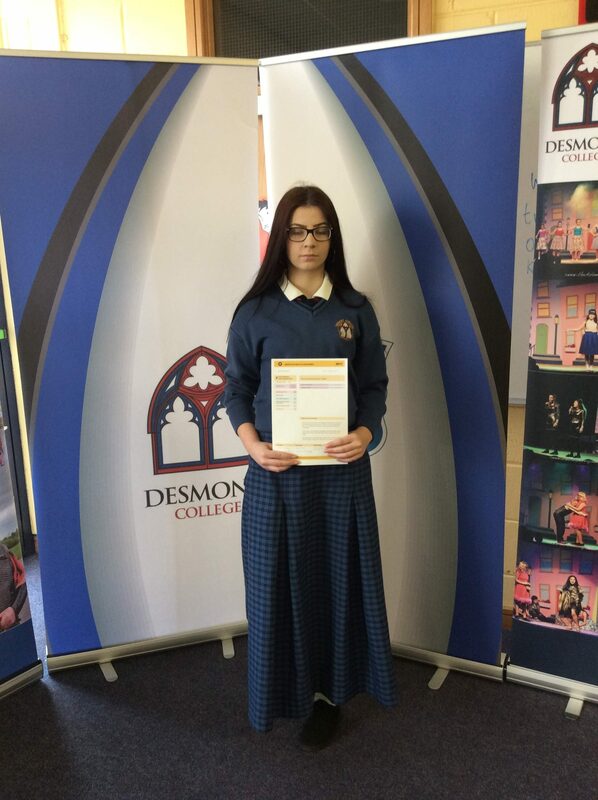 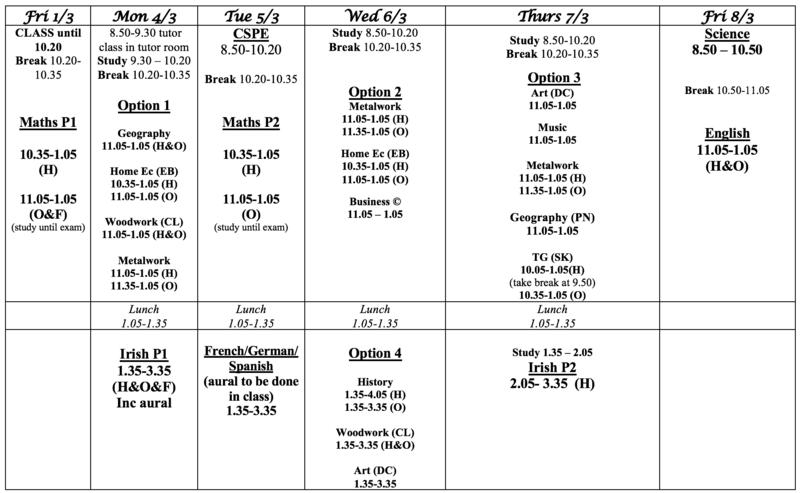 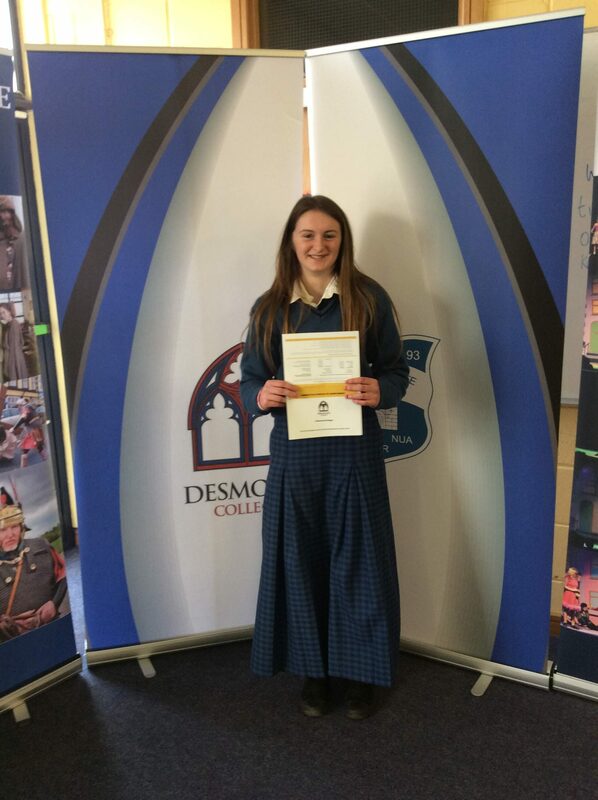 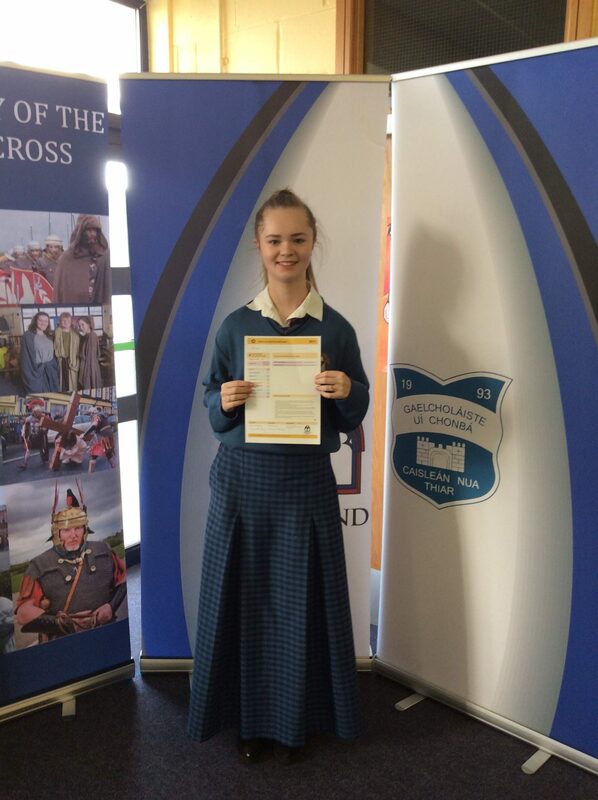 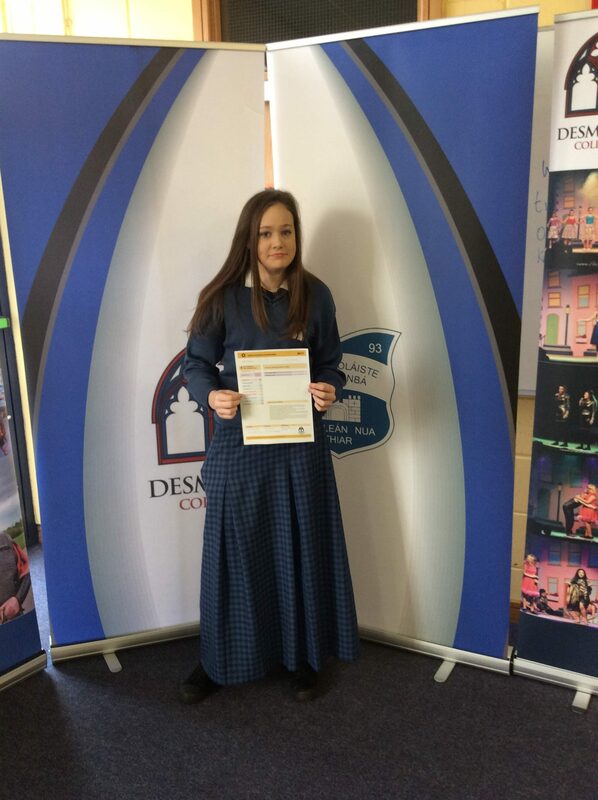 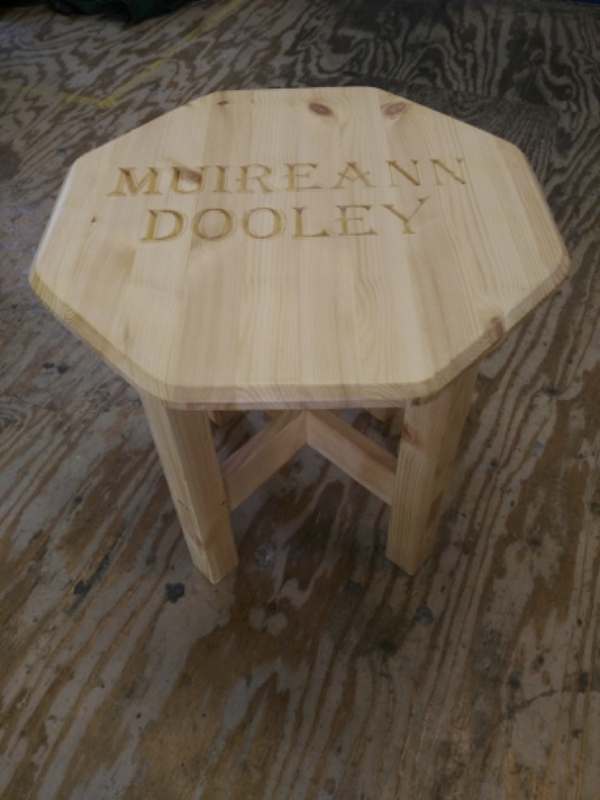 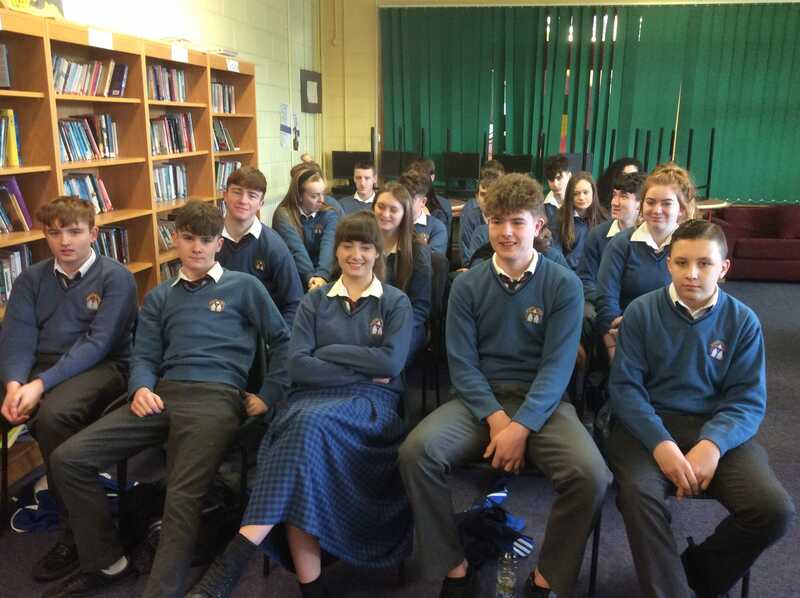 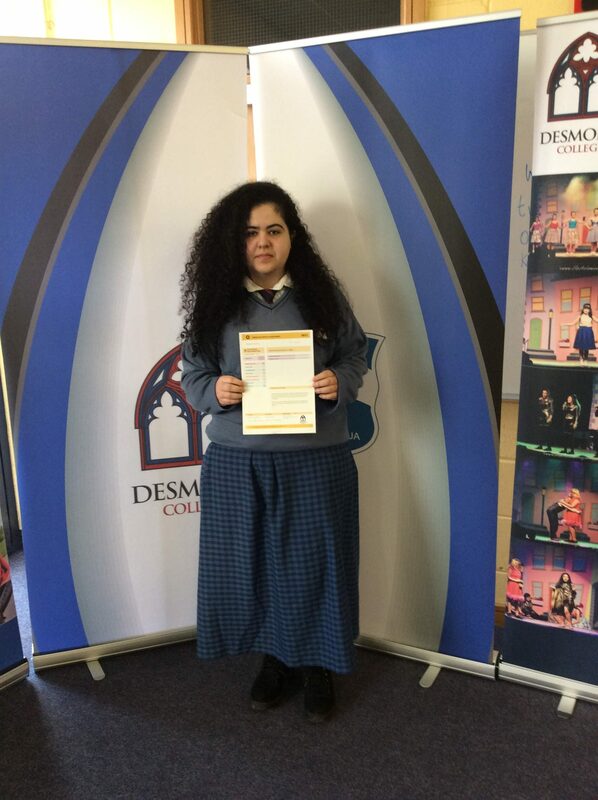 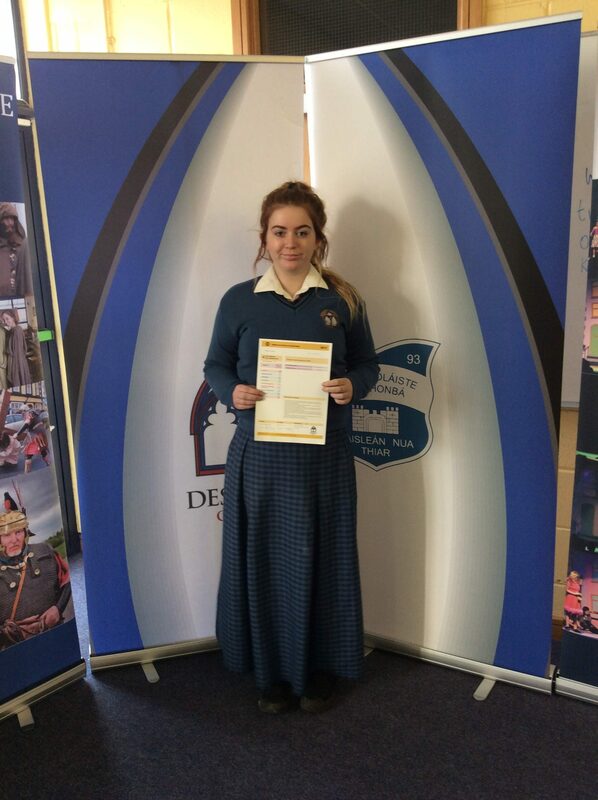 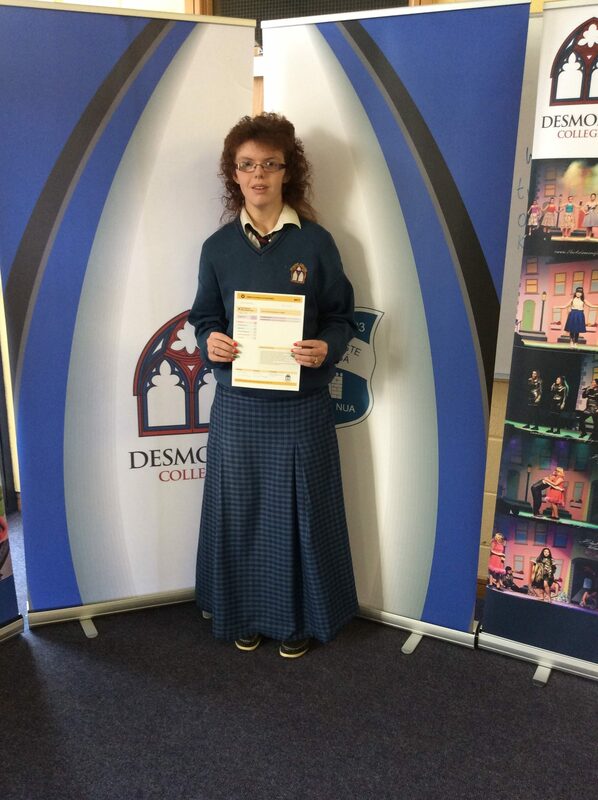 Presentations were made by Year Head, Ms. Caroline O’Grady, and Principal, Ms. Vourneen Gavin Barry. 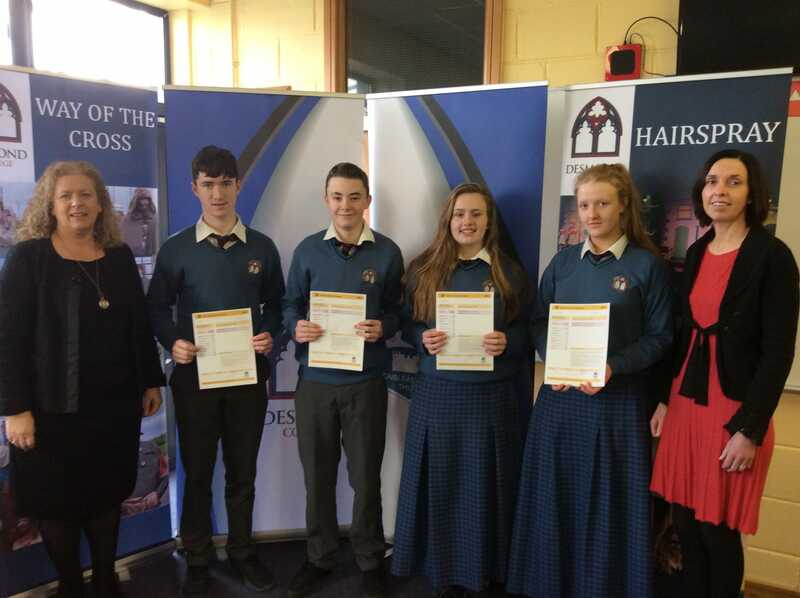 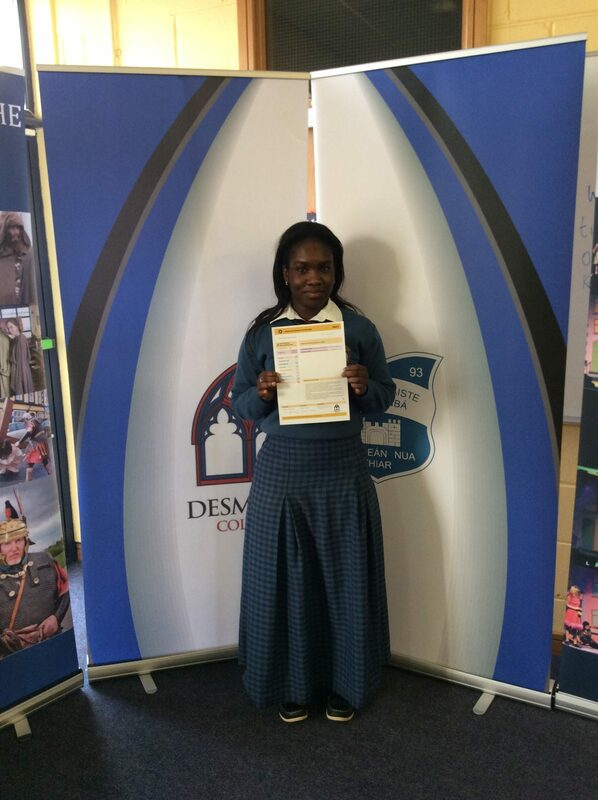 The students certificate reports on their achievements in the state exams, classroom based assessments and other areas of learning. 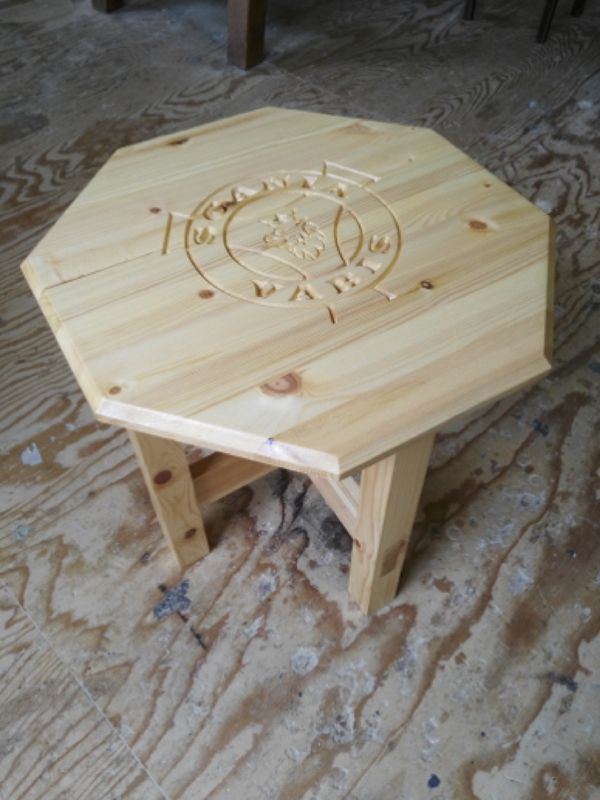 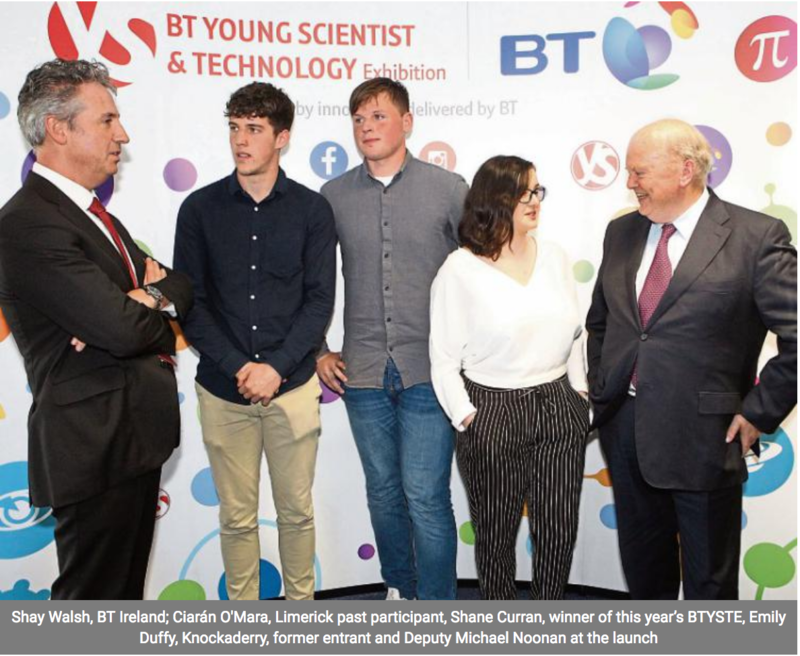 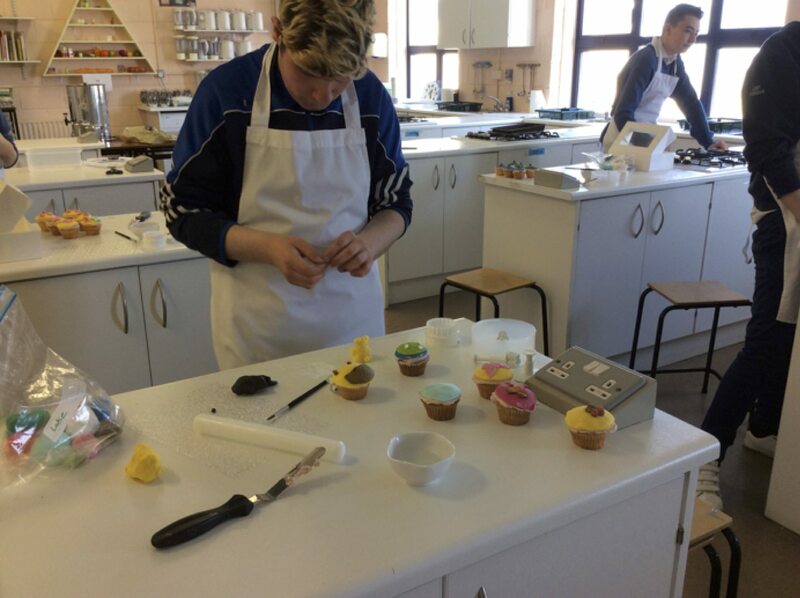 This profile of achievement is a formal recognition of the vast range of learning and skills acquired outside the classroom on extracurricular activities and on engagement with co-curricular learning. 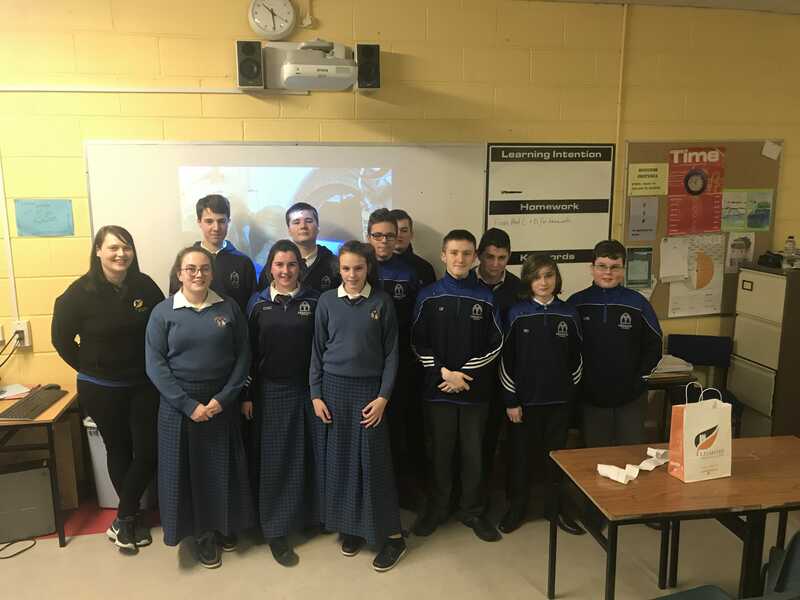 On Tuesday 12th December 2017, our 1st 2nd and TY students were involved in an Earth and Space workshop which consisted of hands-on, interactive activities which explored Space and how it affects our life here on Earth. 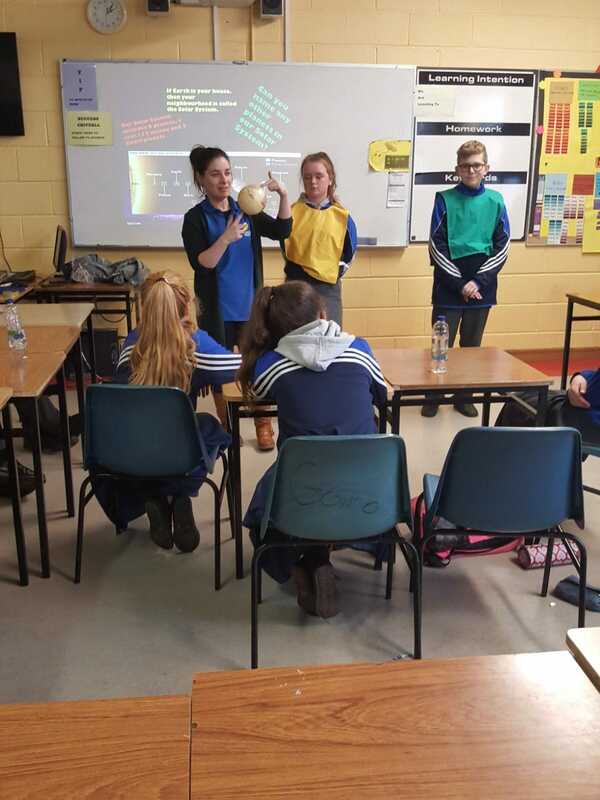 The Solar System, motion of planets and moons, Stars, Rockets, Human Space Exploration, day and night and seasons was all explored with the students which really sparked an interest in all things cosmic for them. 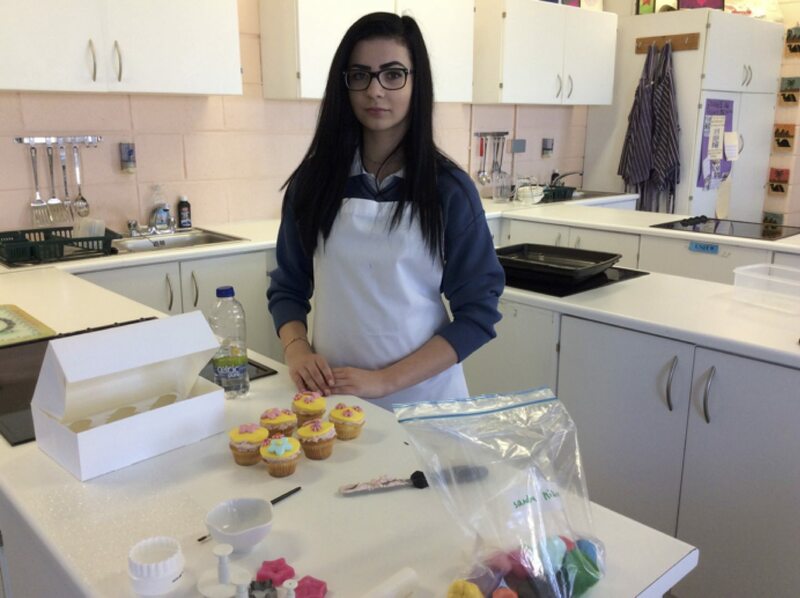 Lauren Ambrose participating in the Earth and Space Workshop. 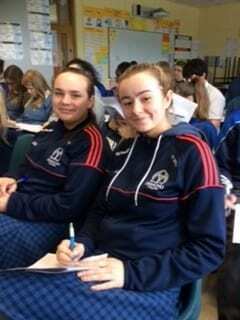 Kellie Griffin and Nikita Lysaght participating in the Earth and Space Workshop. 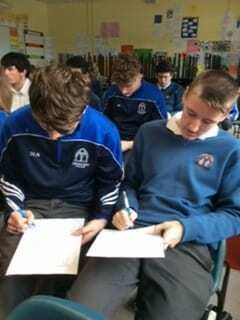 Some 2nd Year students participating in the Earth and Space Workshop. 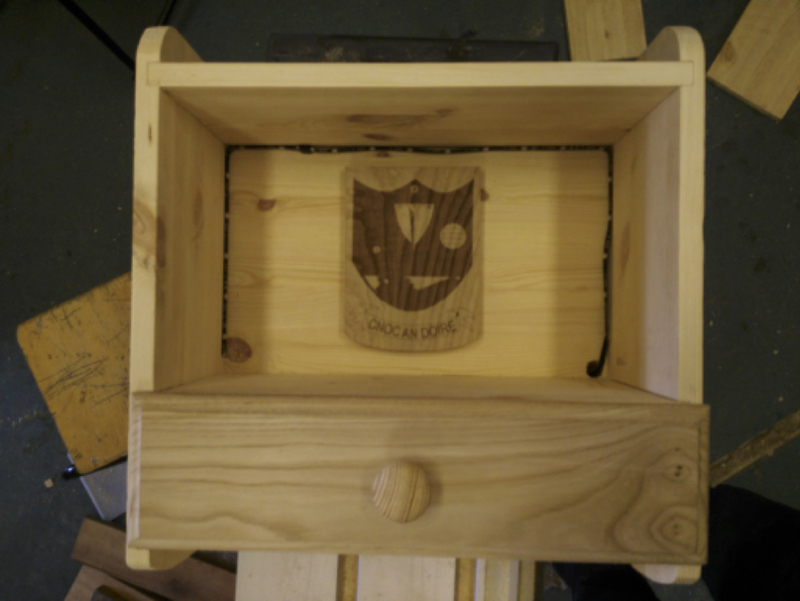 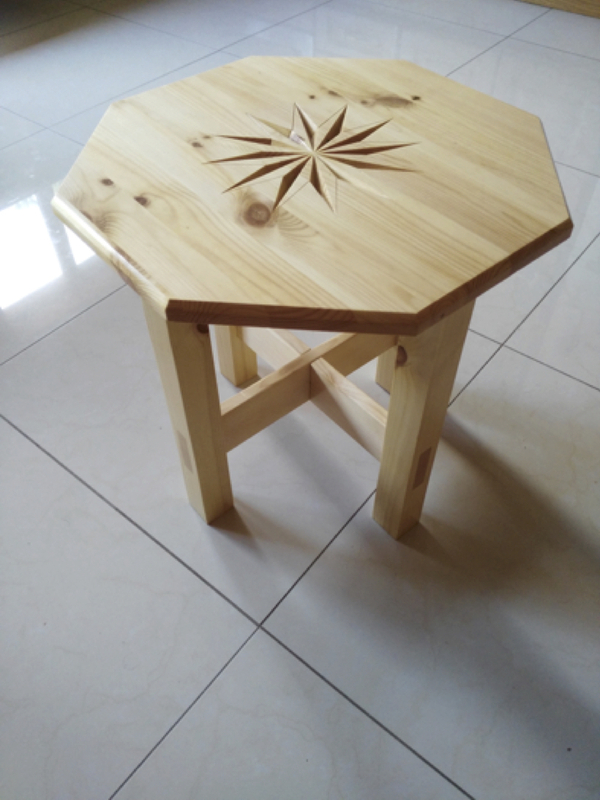 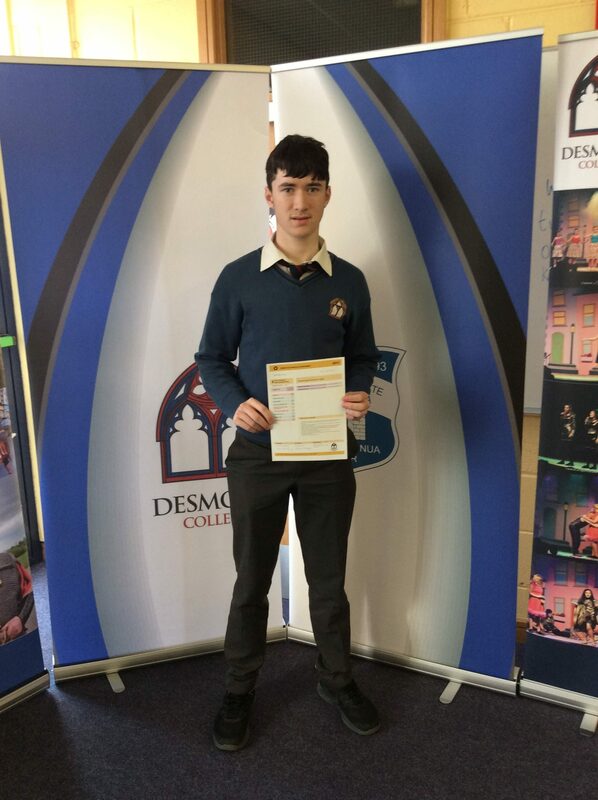 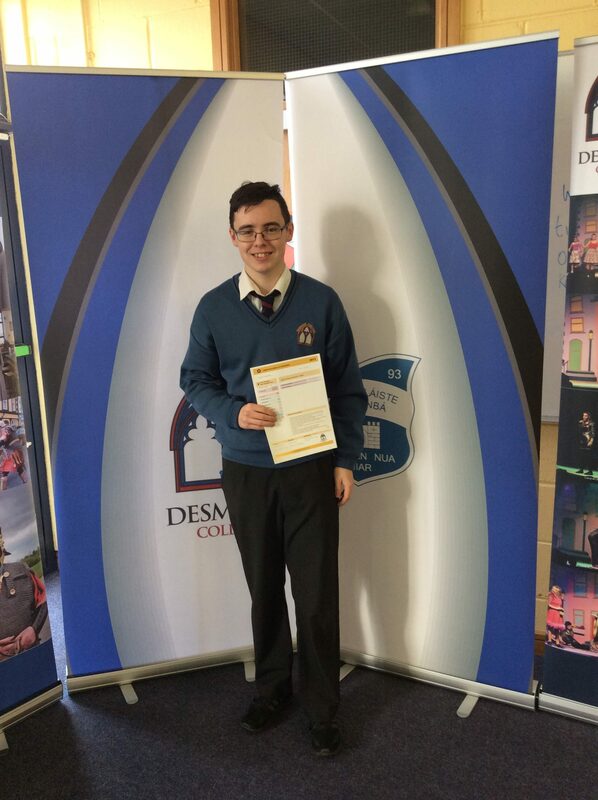 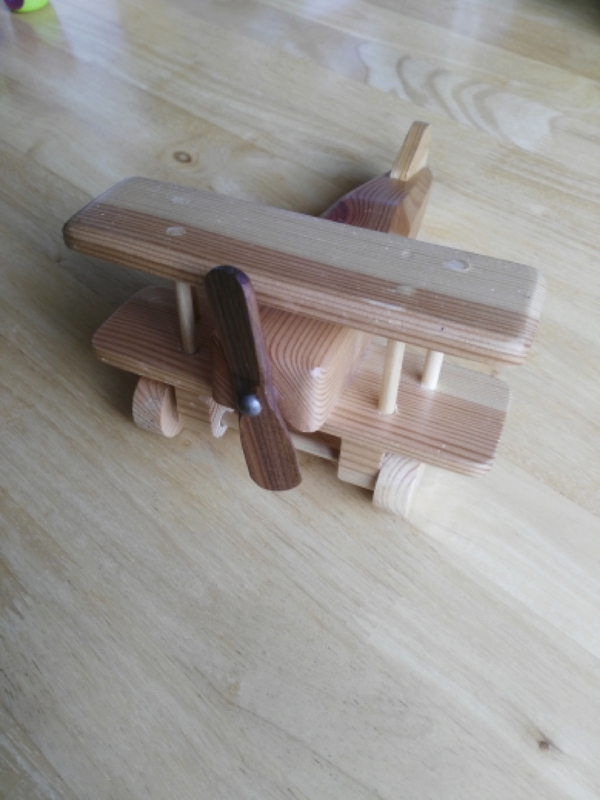 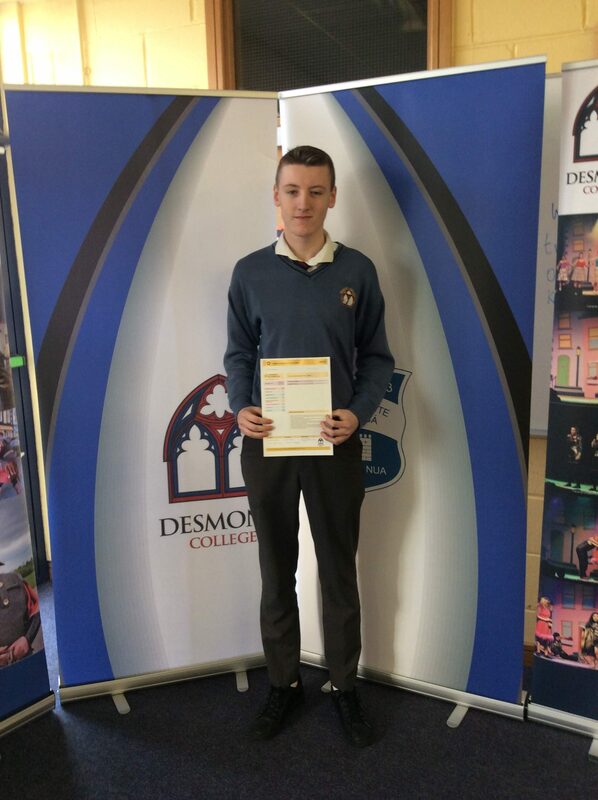 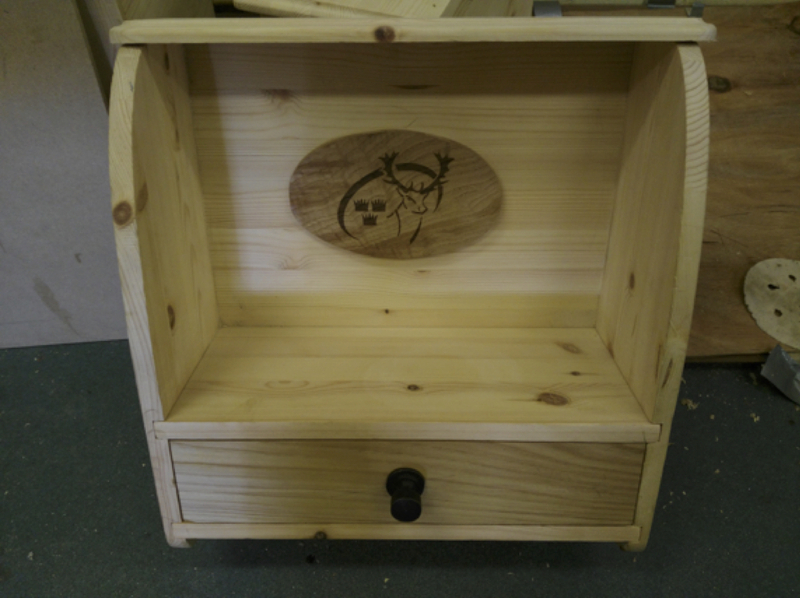 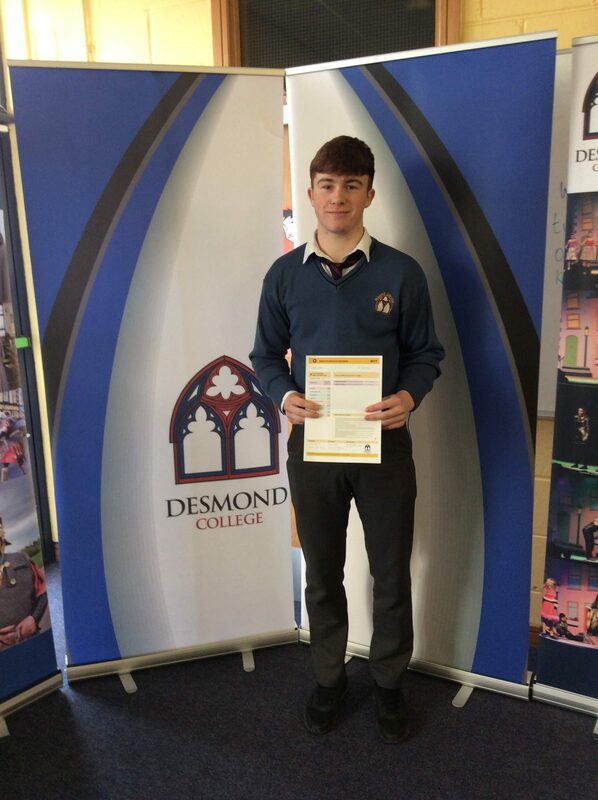 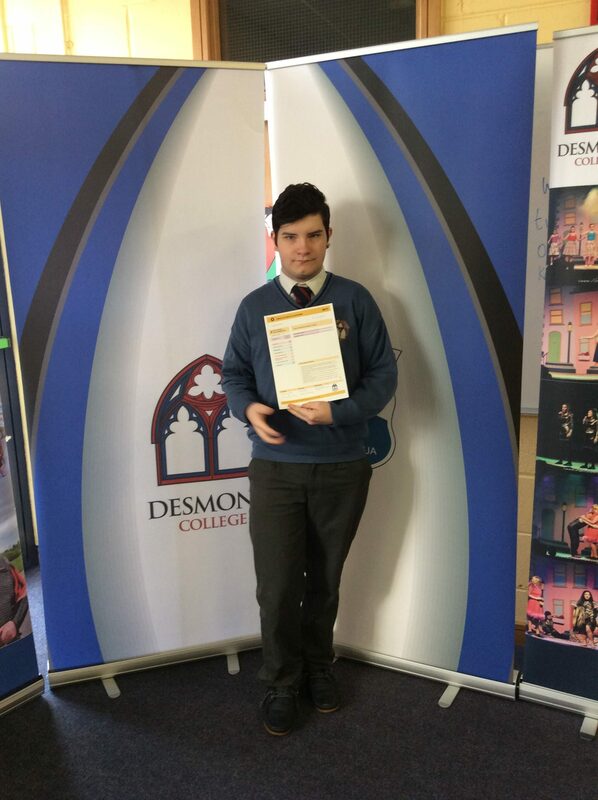 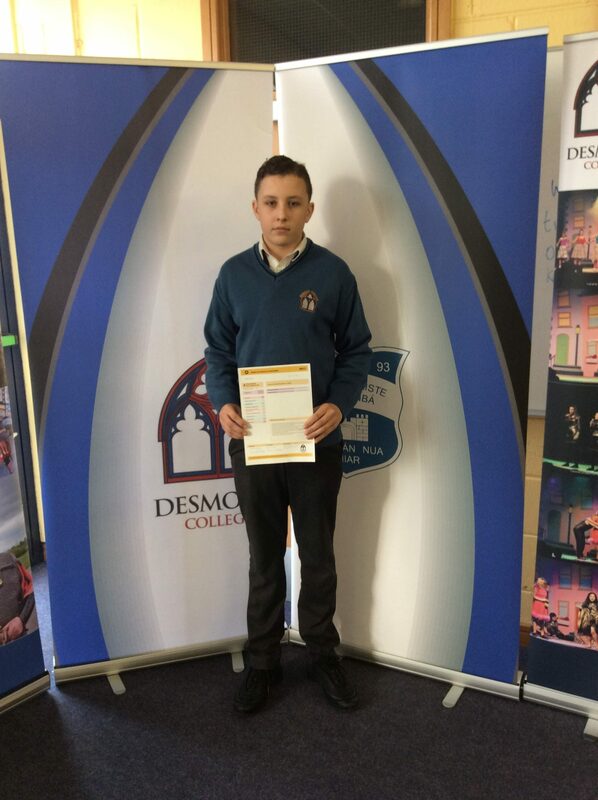 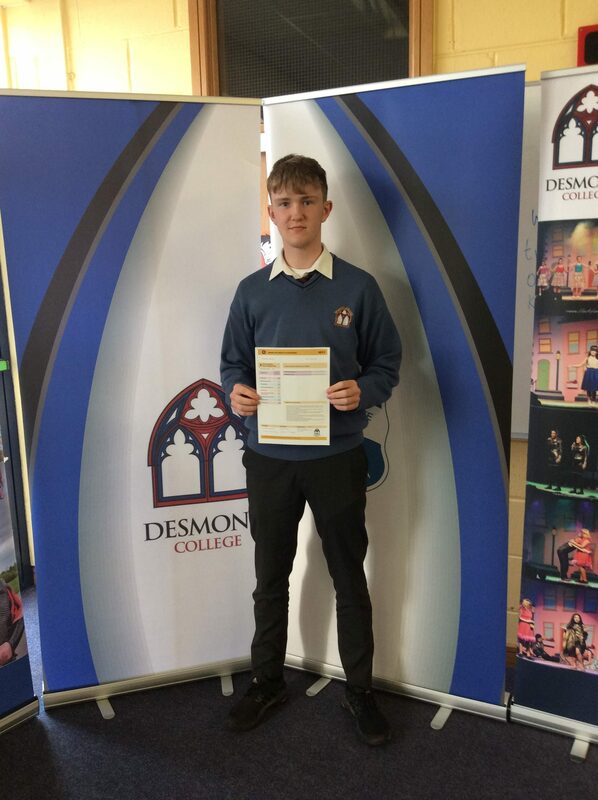 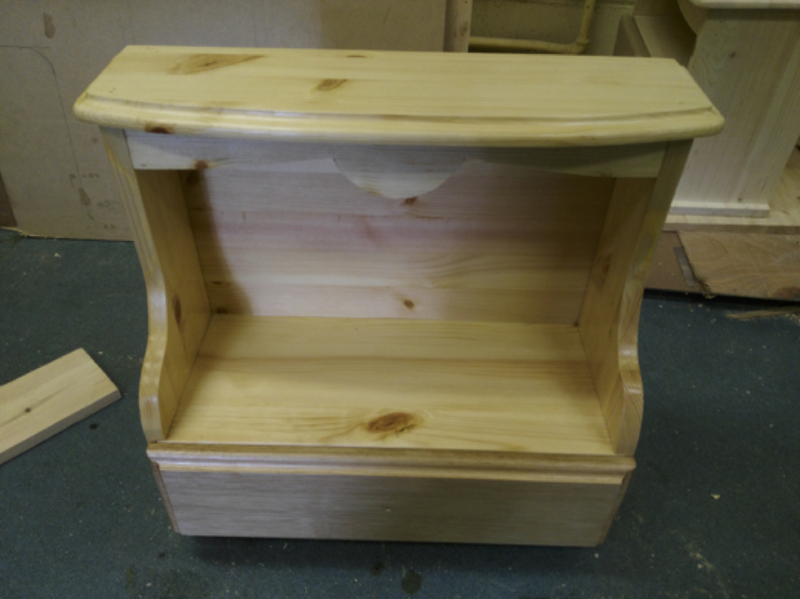 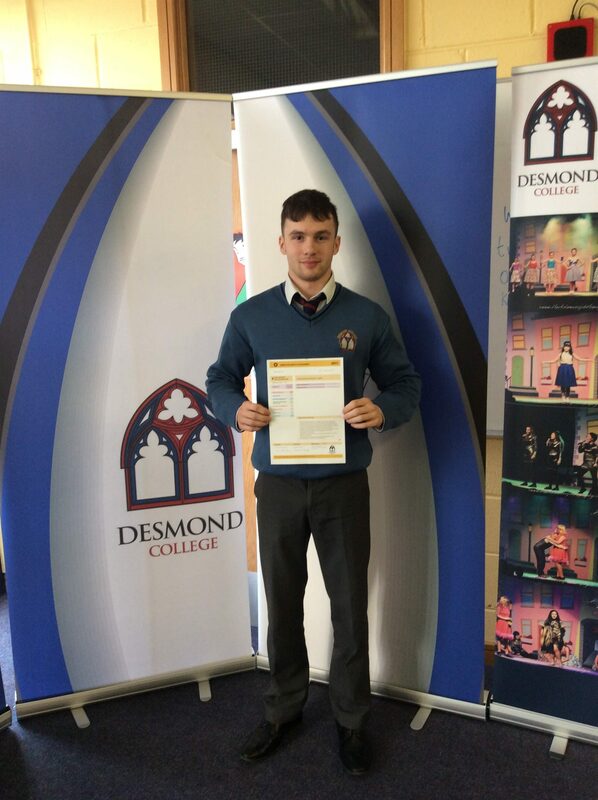 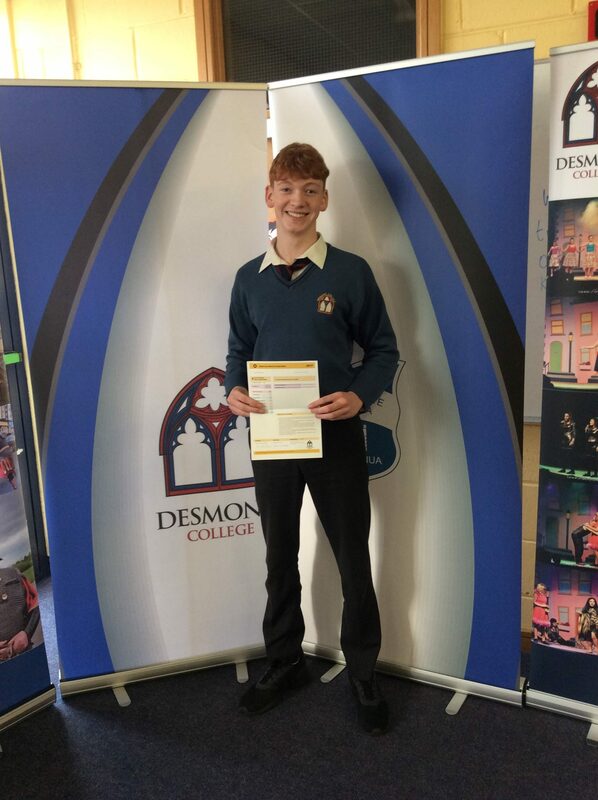 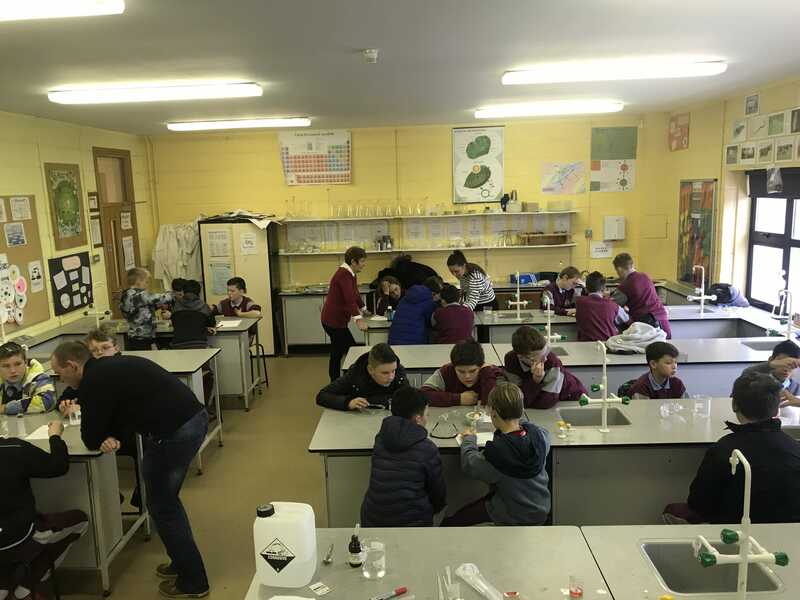 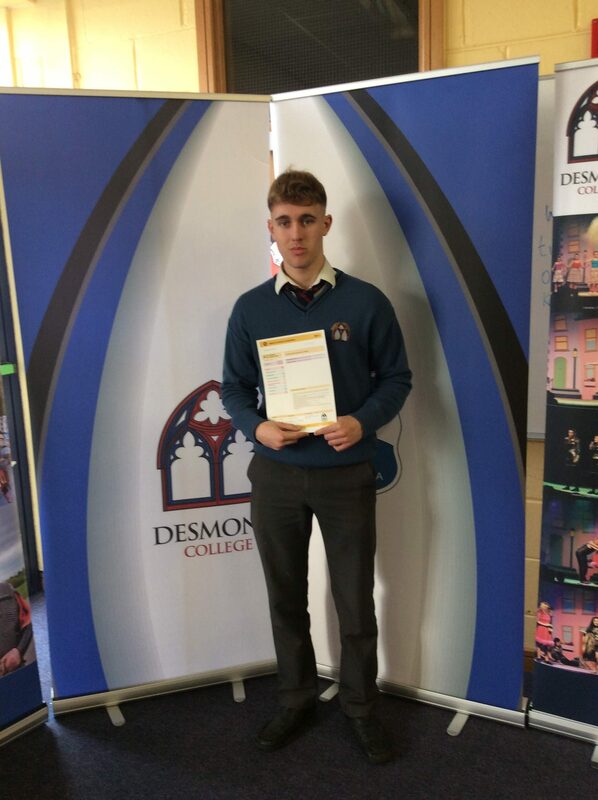 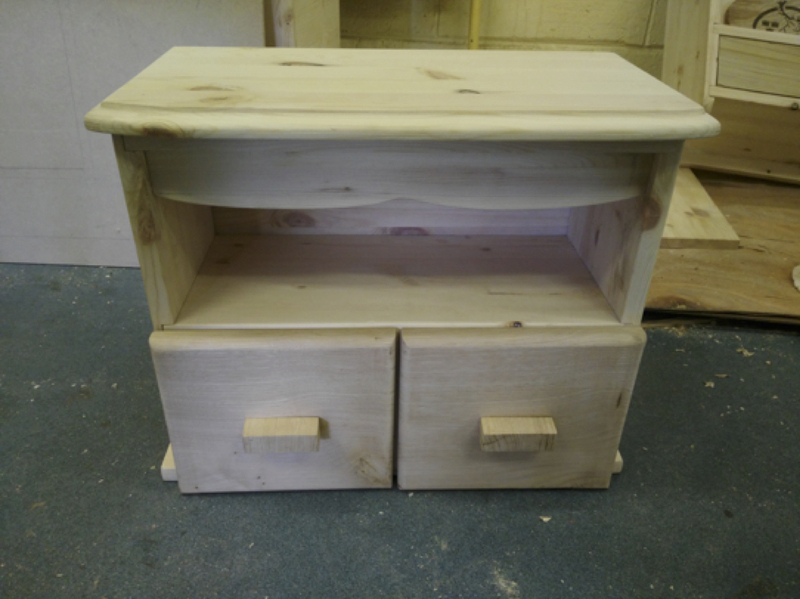 Desmond College are currently working with the Courtenay Boys school along with a number of other Primary Schools in West Limerick to put together a project for the Primary Science Fair taking place in January 2018. 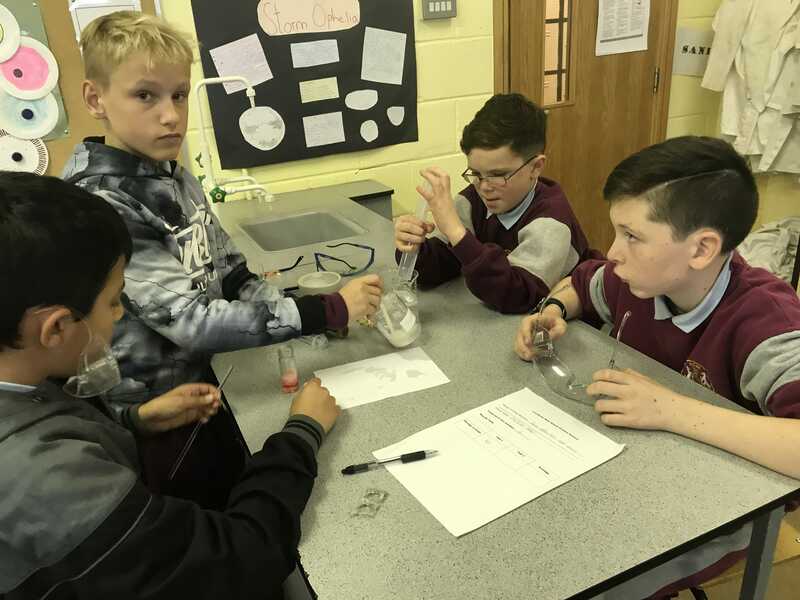 Students from the Courtenay Boys School performing experiments in Desmond College in preparation for the Primary Science Fair. 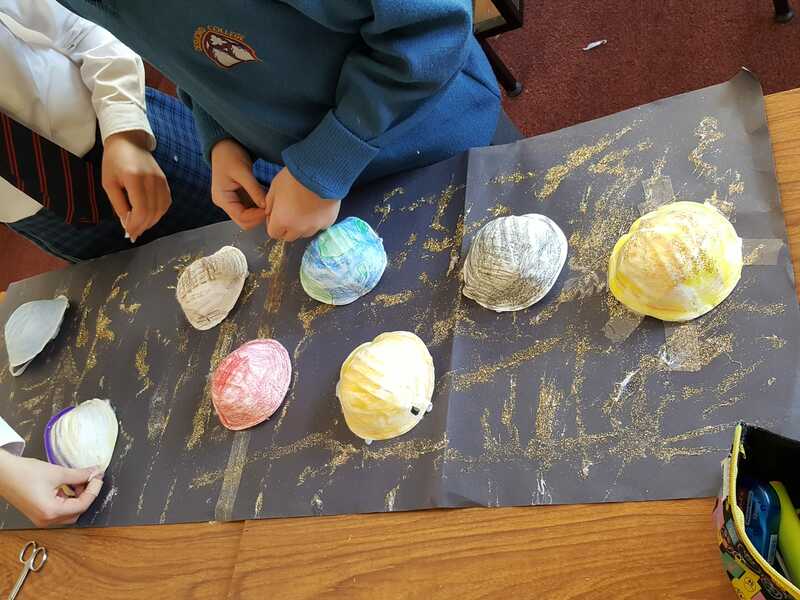 First Year Students working on their models of the solar system. 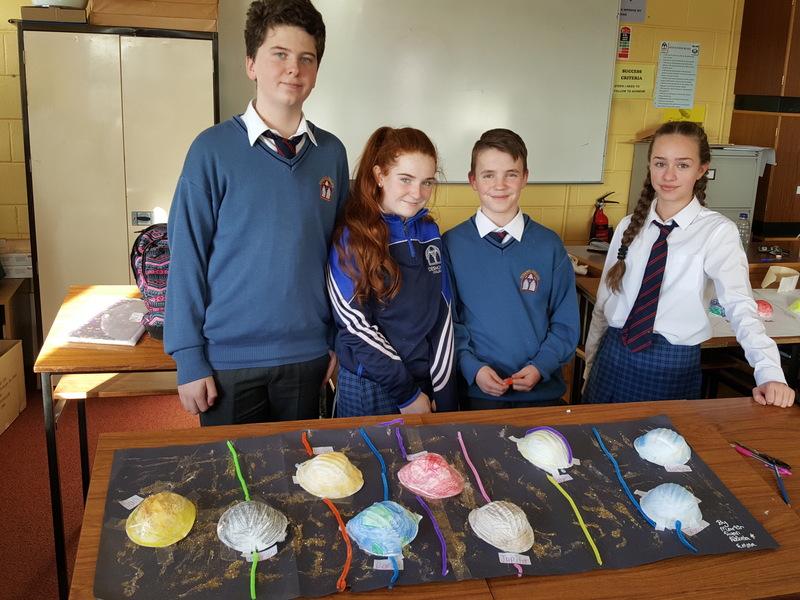 Martin Campbell, Emma O Shea, Ryan Moloney and Alzbeta Barisova making their Milky Way models. 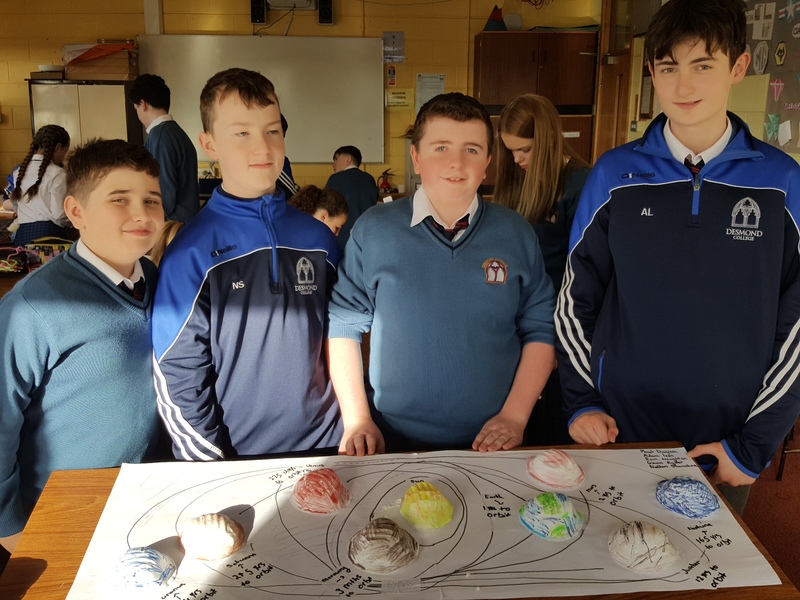 Eoin Naughton-Powell, Nathan Shanahan, Gavin Ryder and Adam Leen with their model of the Milky Way. 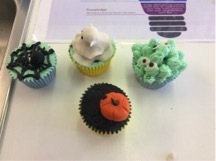 2nd Year Students enjoying Halloween Cupcake designing with Victoria Krechun. 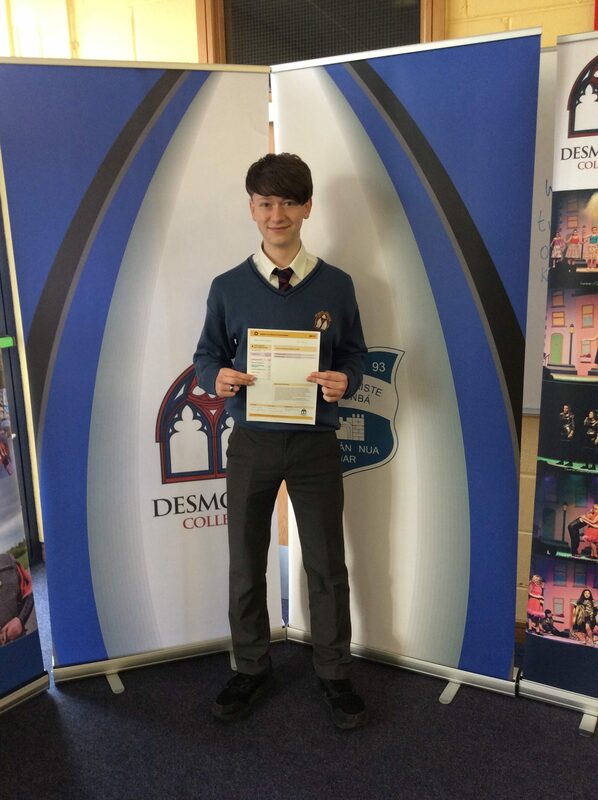 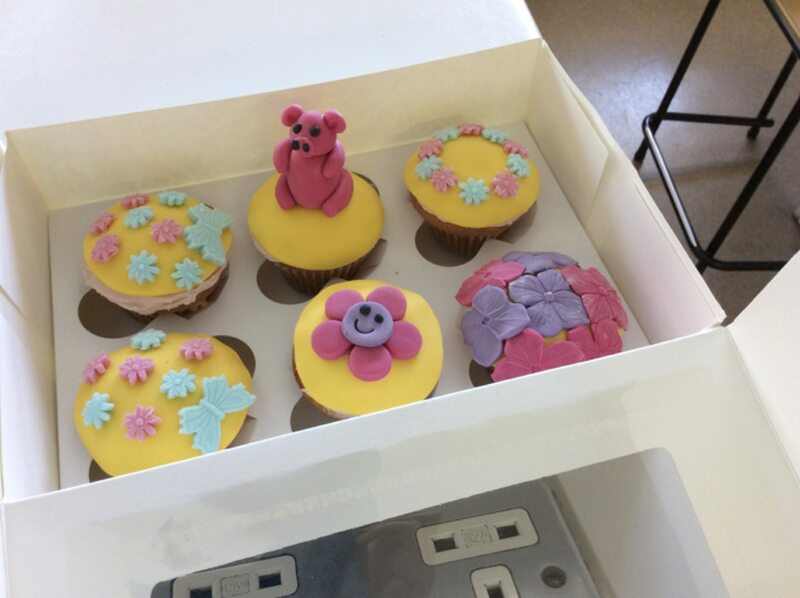 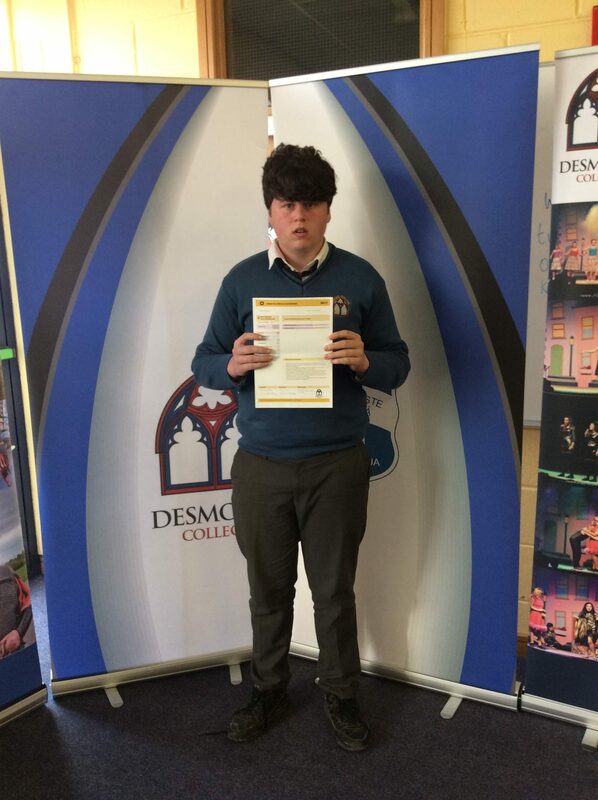 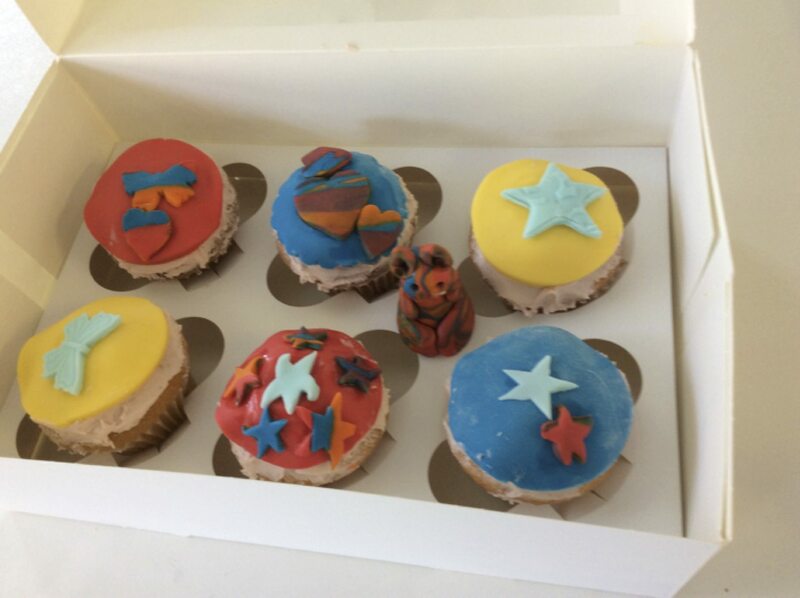 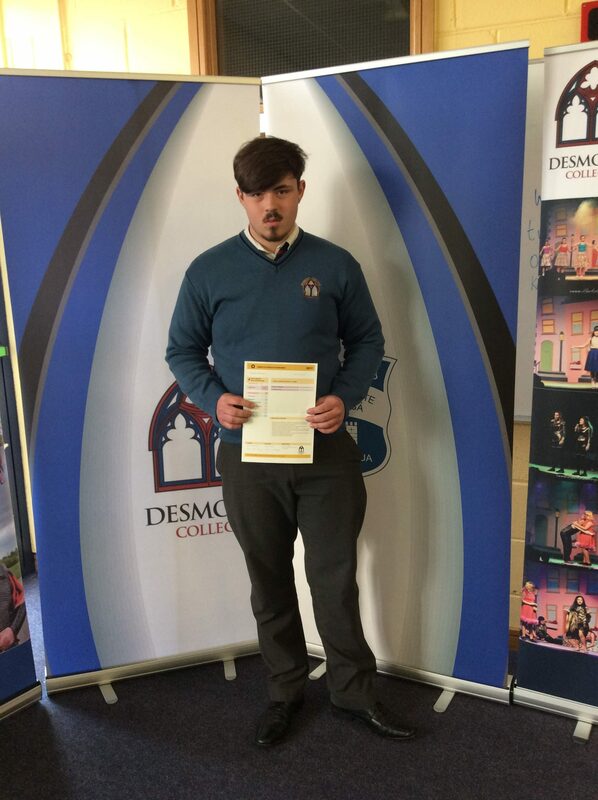 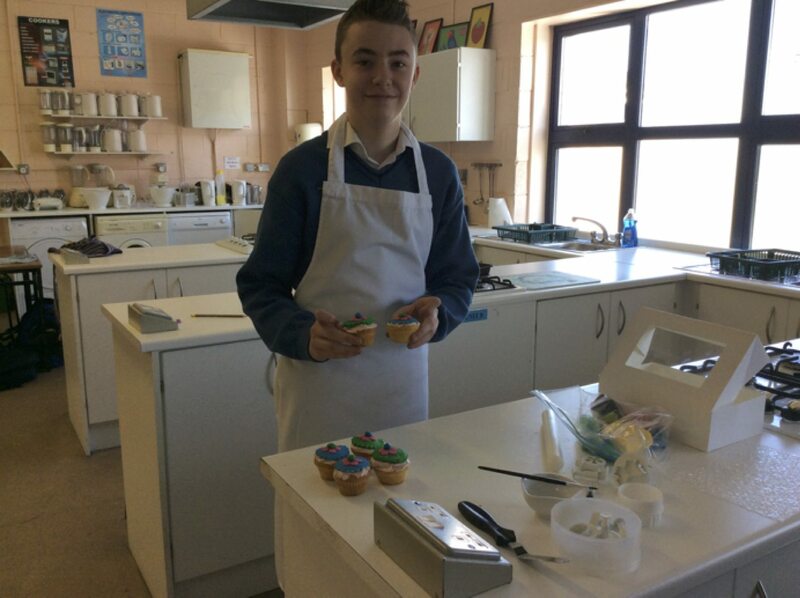 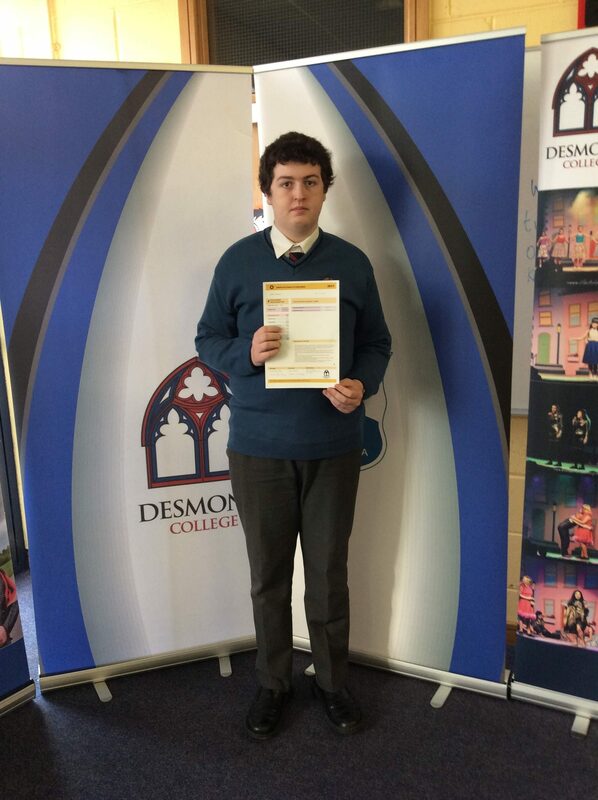 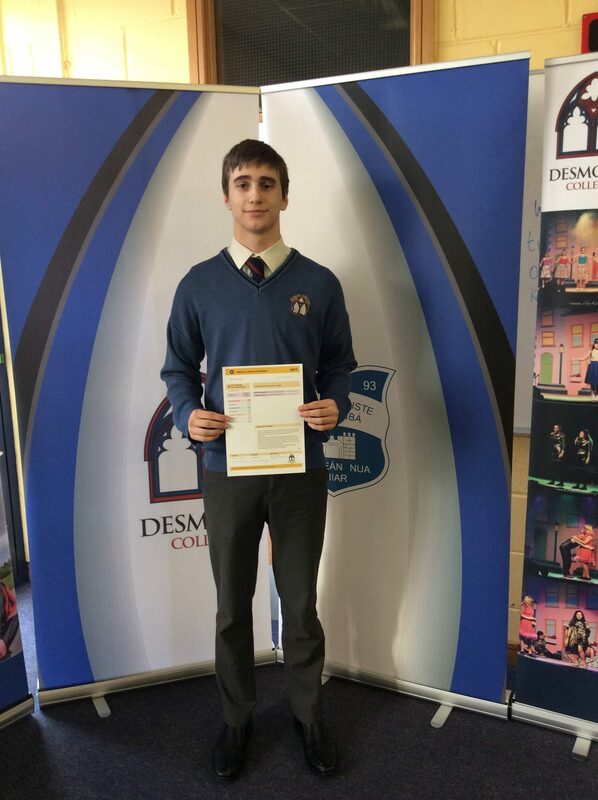 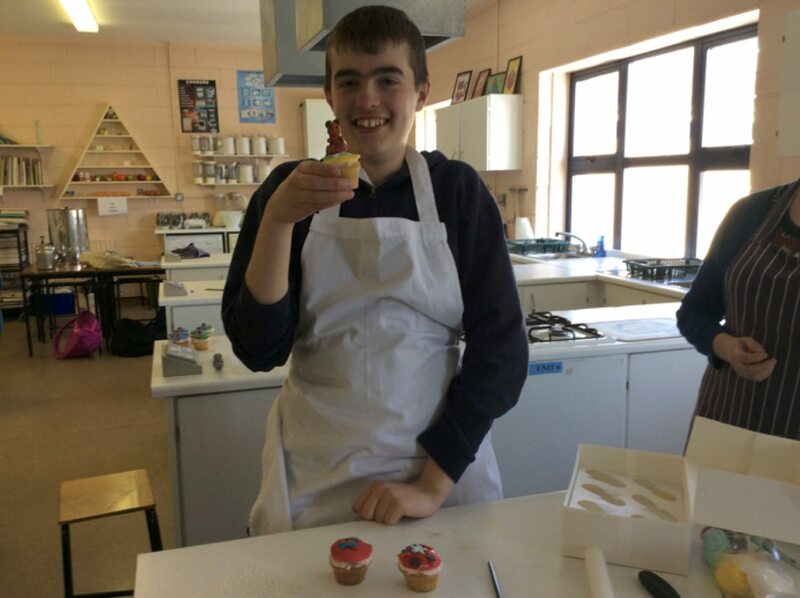 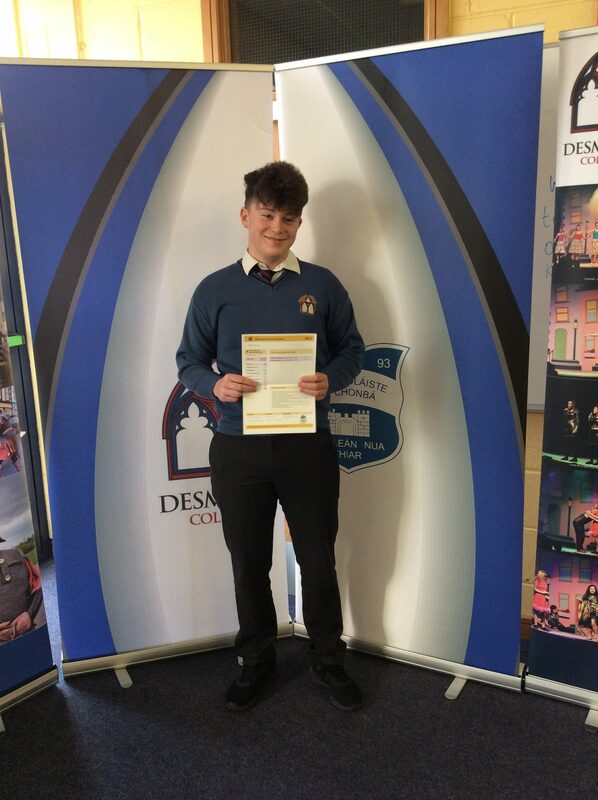 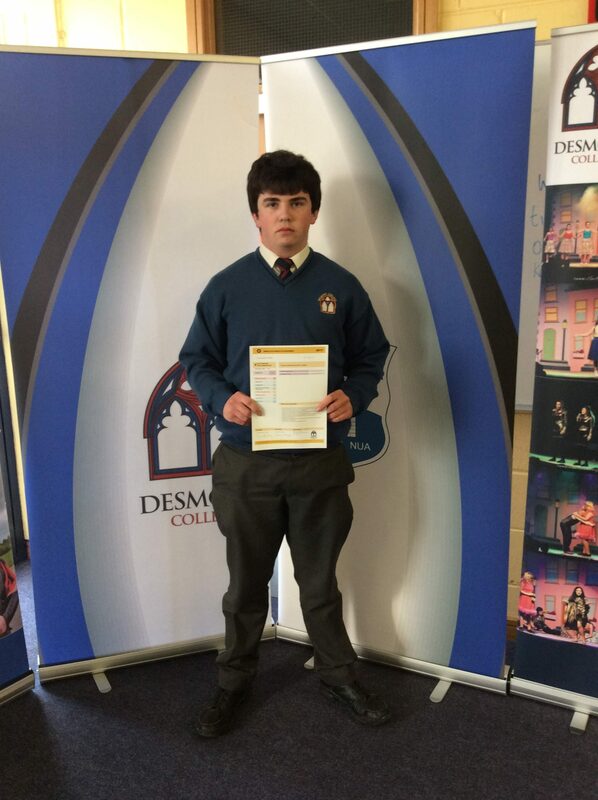 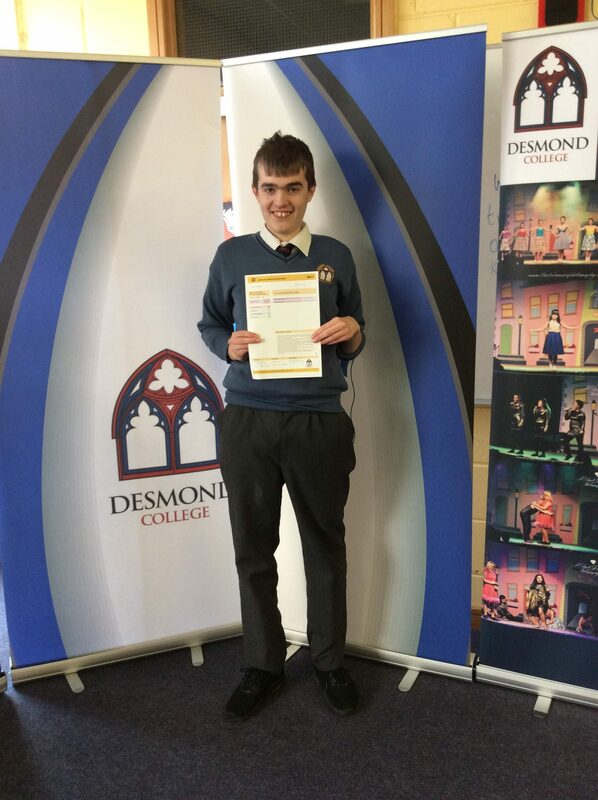 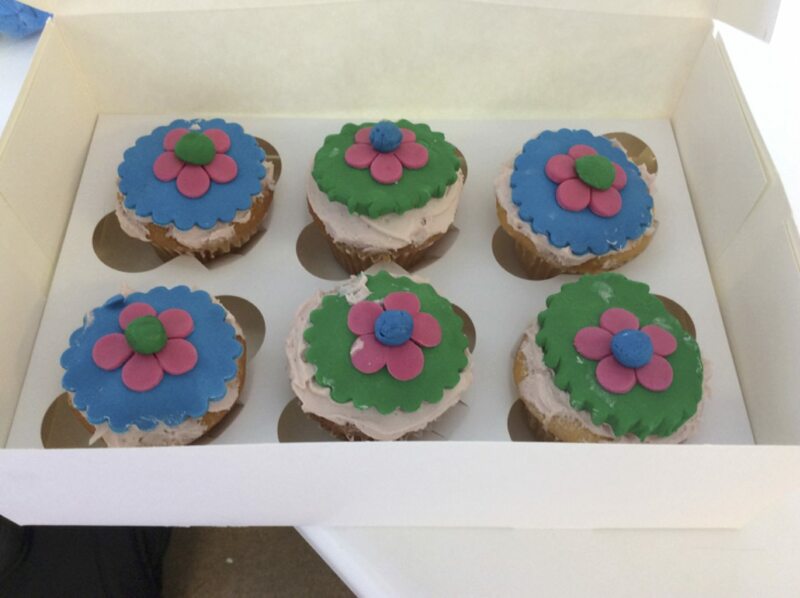 Well done to Rang Fintan who took part in a cupcake decorating class with Victoria from “Bake You Sweet”. 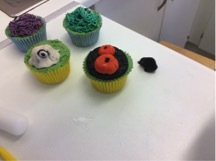 They created some fabulous cupcakes!!! 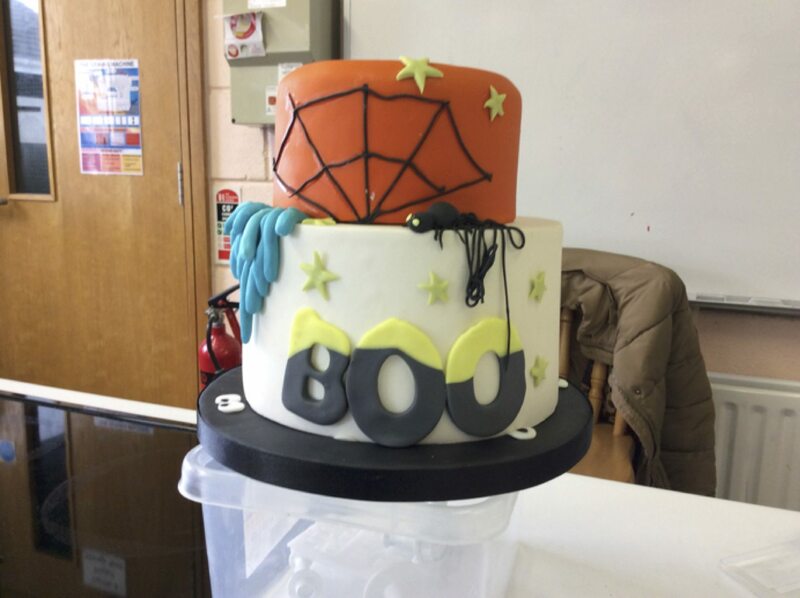 Victoria from “bake you sweet” came to the school to demonstrate how to ice and decorate cakes and buns for Halloween. 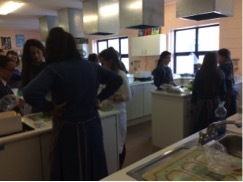 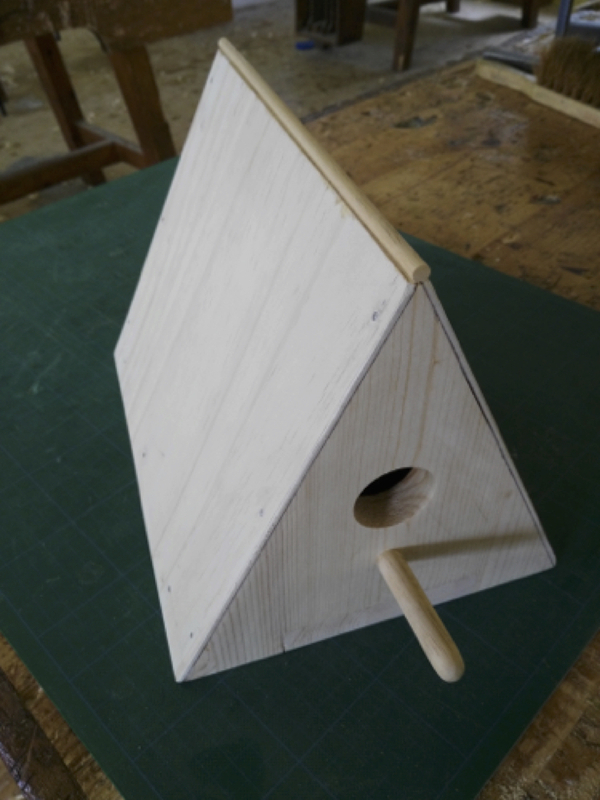 The second years enjoyed the demonstration. 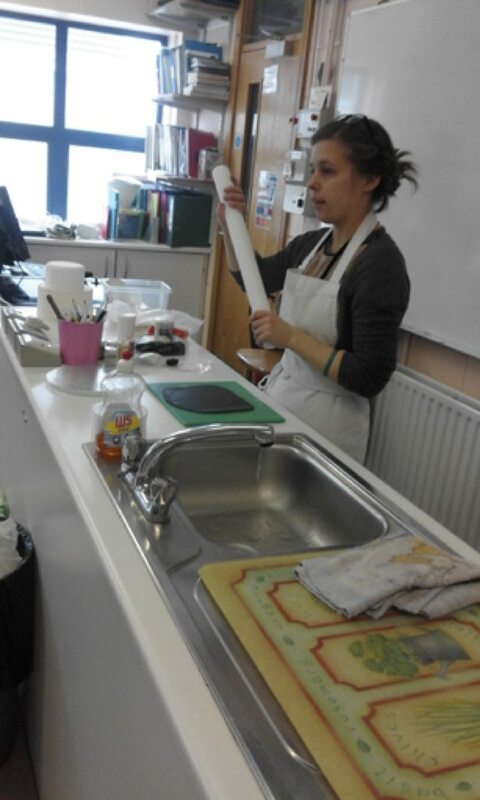 Victoria from Bake You Sweet explaining the skills of Cake decoration to the 2nd Years. 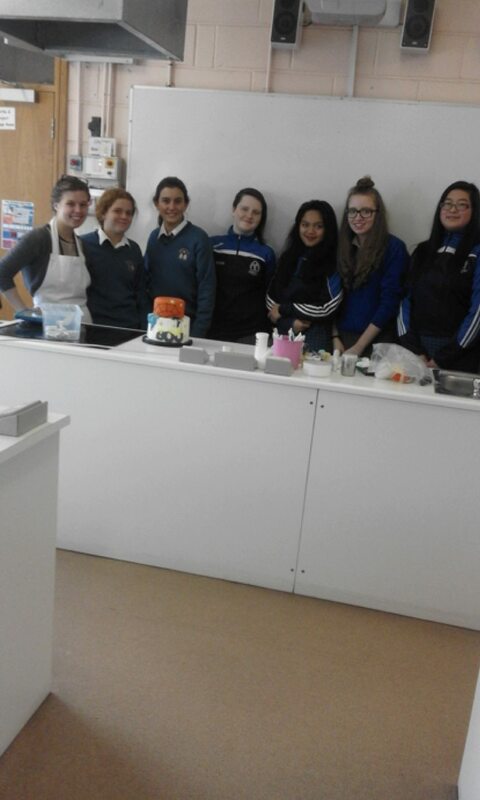 2nd Year Students with their finished decorated Cake. 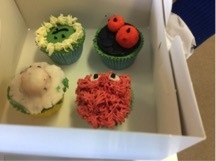 after their lesson in Cake decoration. 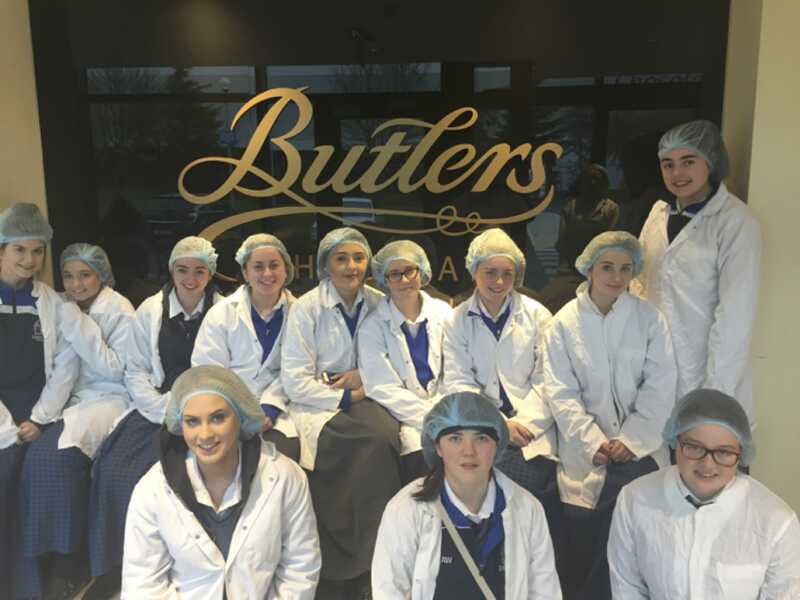 5th Year Home Economic Students visit to Butler’s Chocolate. 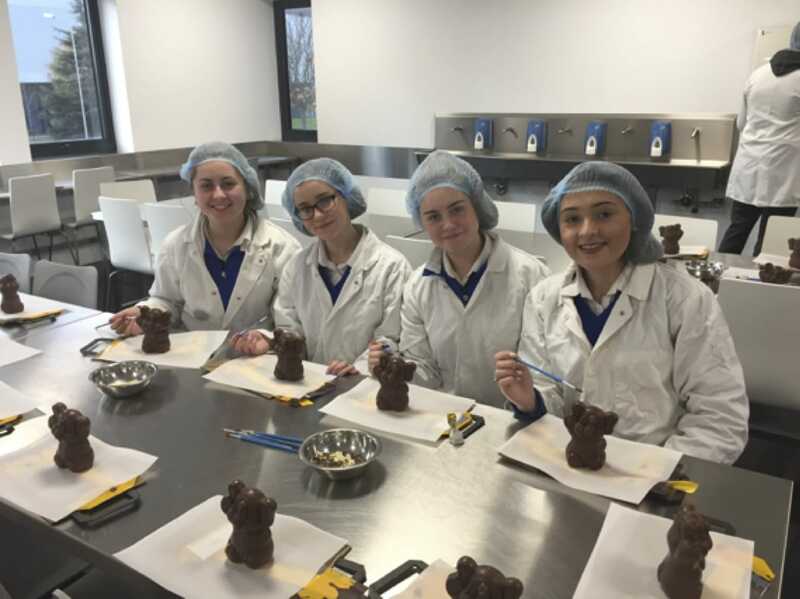 decorating Chocolate at Butler’s Chocolate Factory. 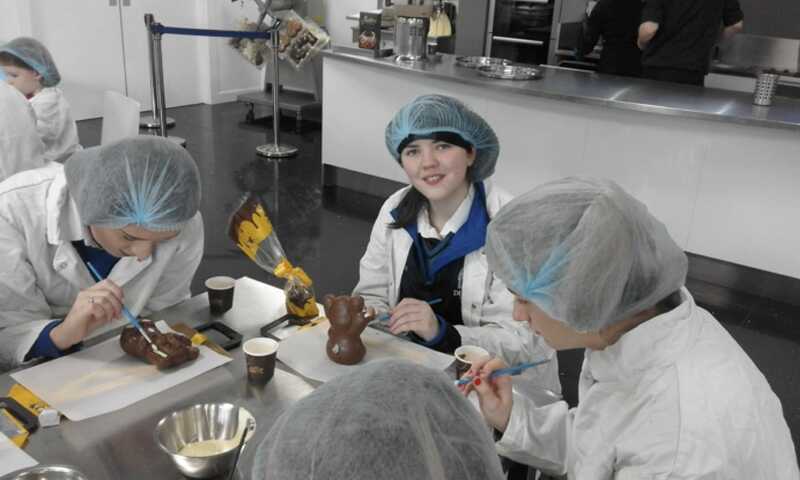 Aislinn Walsh decorating Chocolate rabbits at Butler’s Chocolate factory. 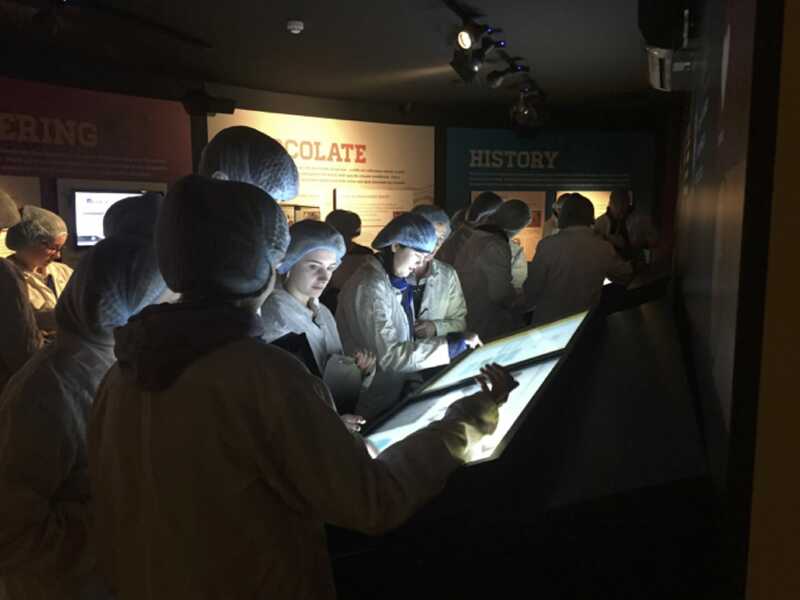 5th Year students learning the history behind Butler’s Chocolate. 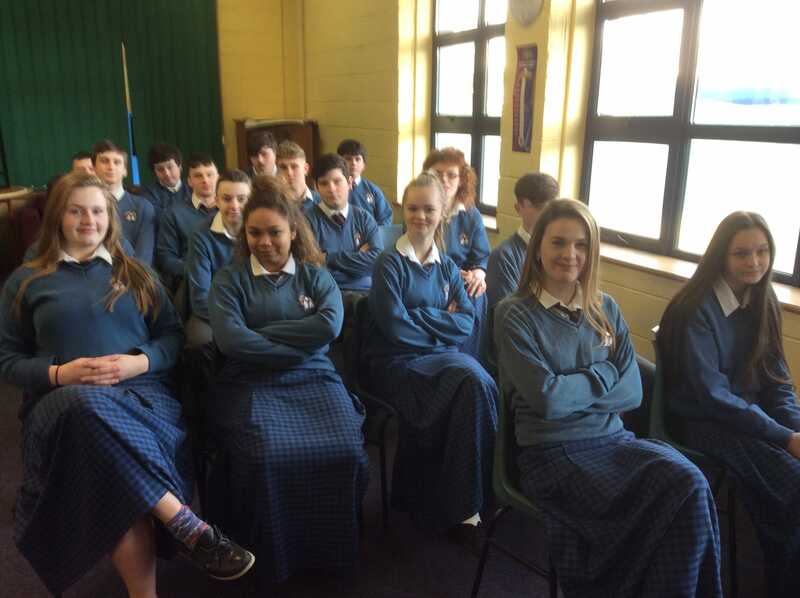 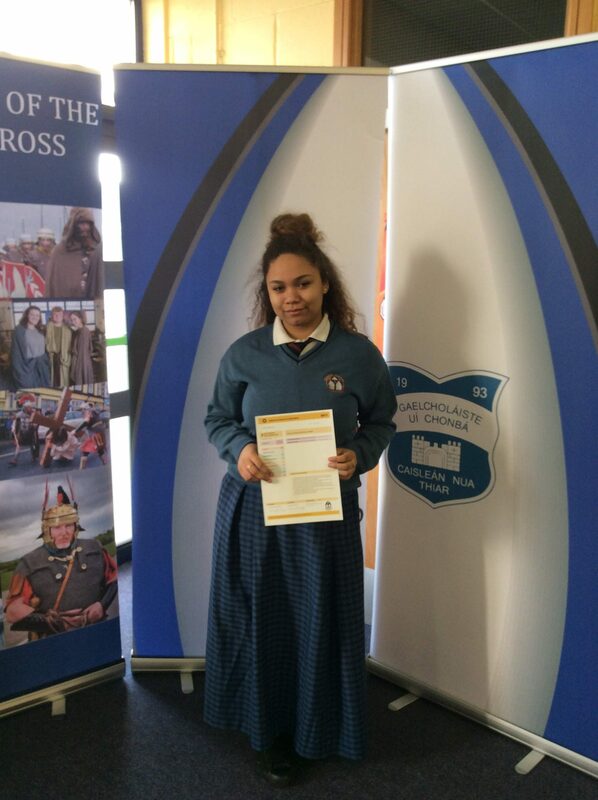 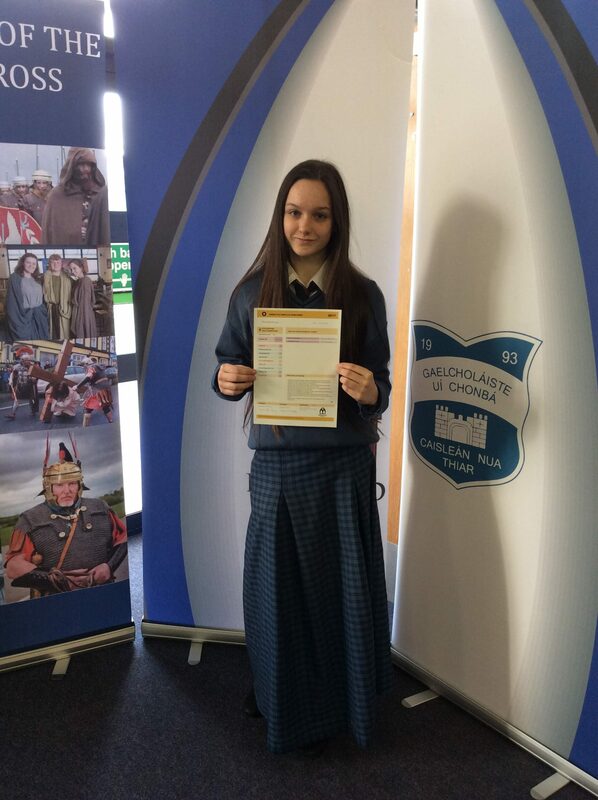 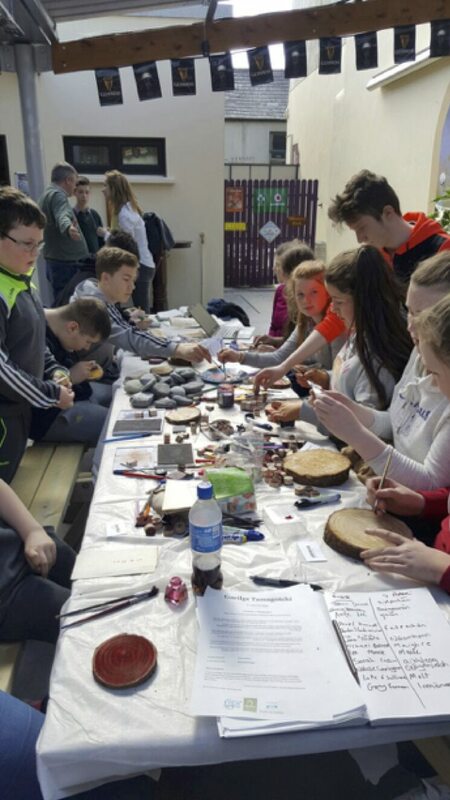 First Year students attended an Eigse Workshop to promote endangered Irish Words. 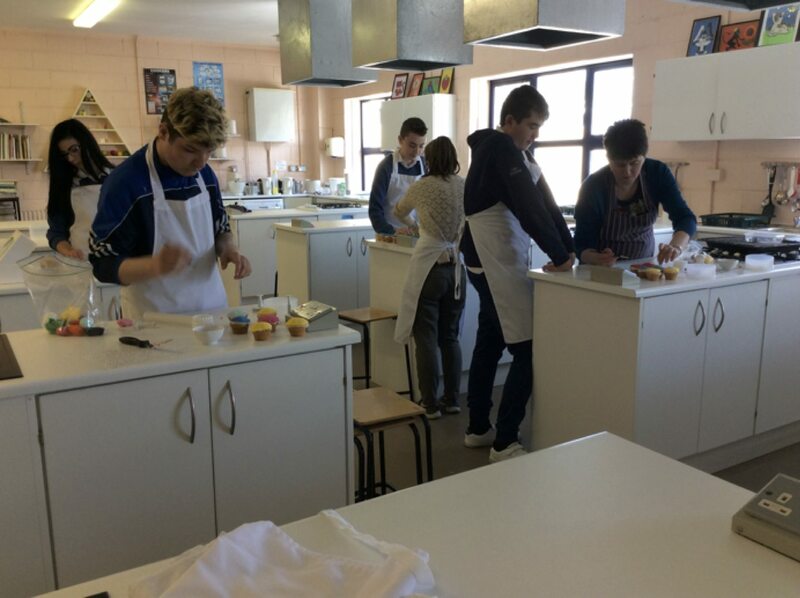 Some of the First Year students participating in an Eigse Workshop where they produced some artistic pieces. 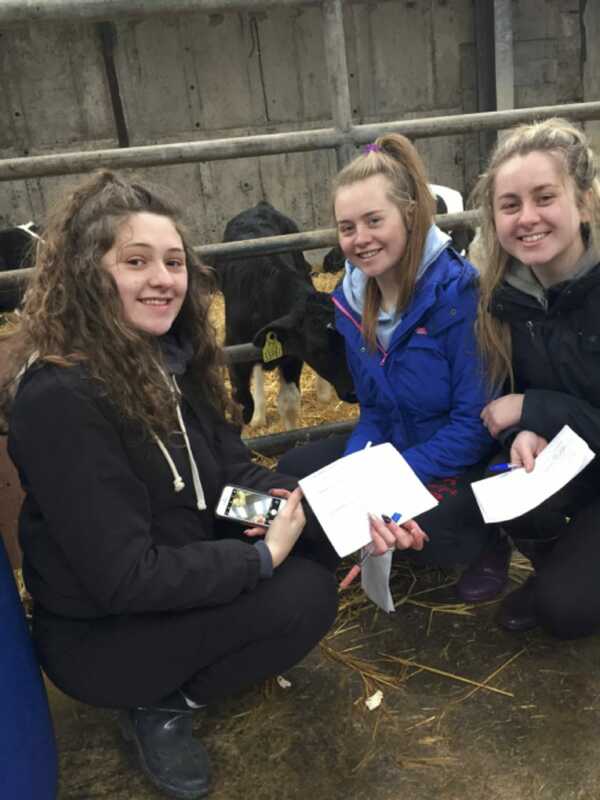 The 5th Year Agricultural Science students went on their annual Farm Walk to Pallaskenry Agricultural College on Tuesday last. 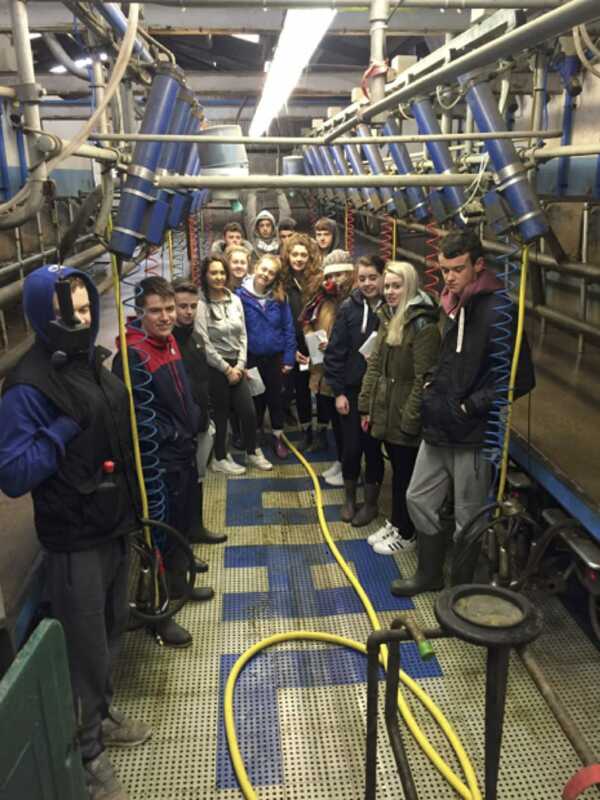 Desmond College students analyse the Milking Parlour system used in Pallaskenry Agricultural College. 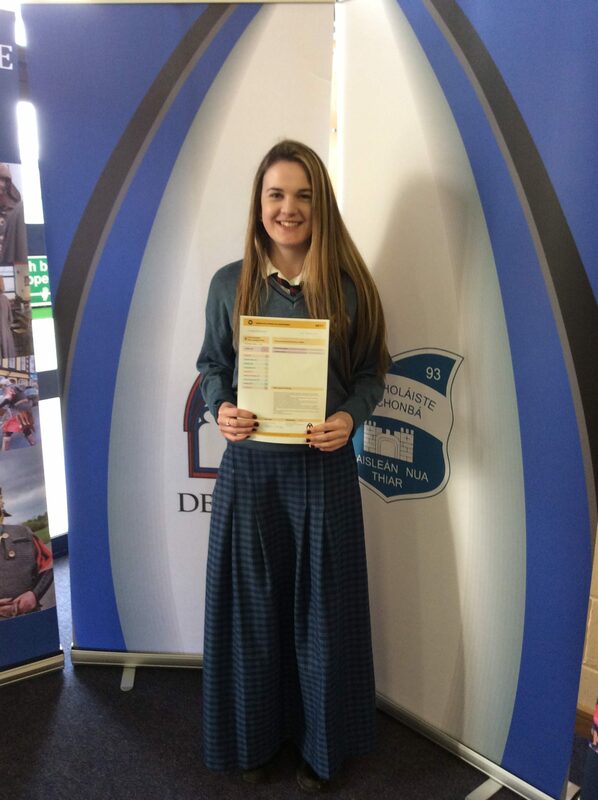 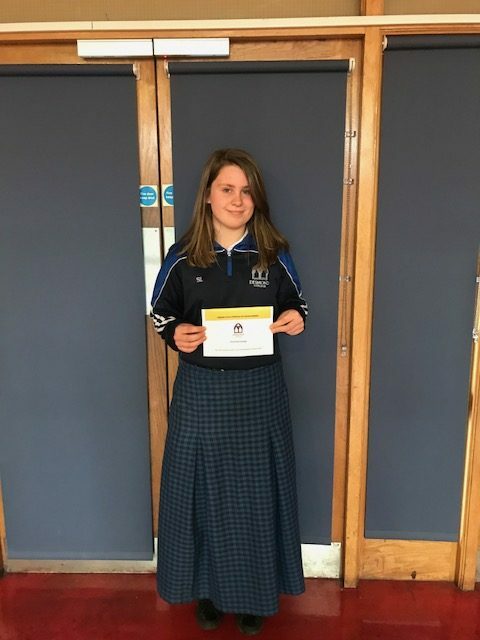 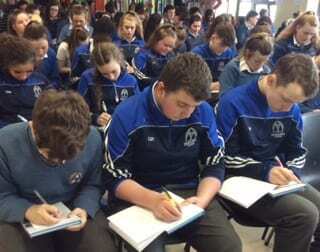 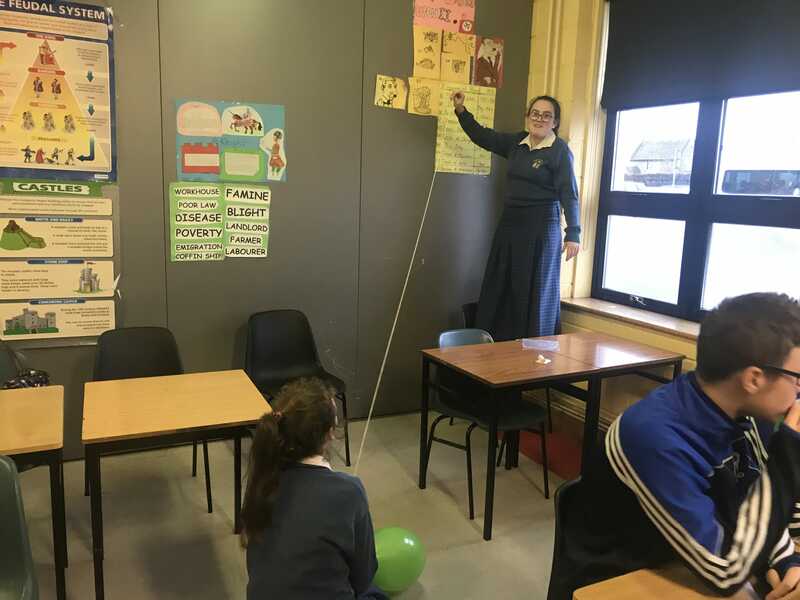 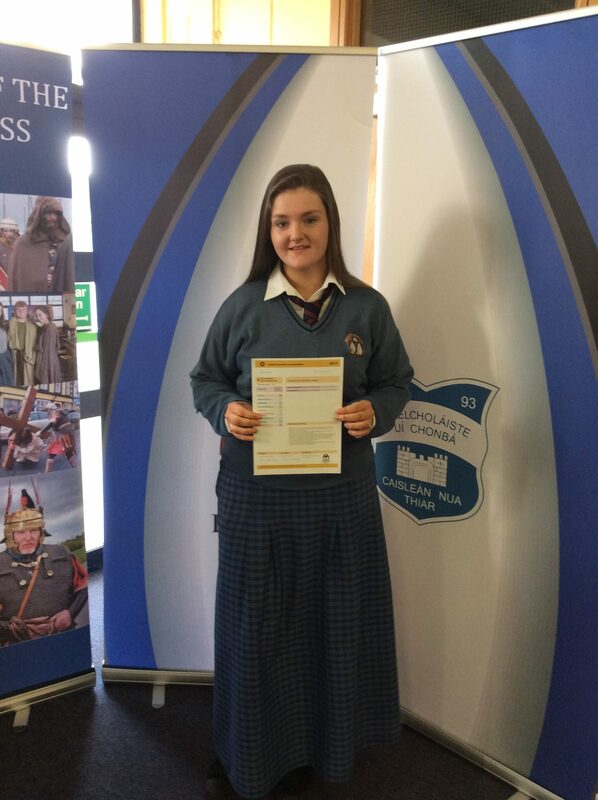 Muireann Tobin, Caoimhe Danaher and Leah Barry take note on the Breeds of Animals used in Pallaskenry Agricultural College. 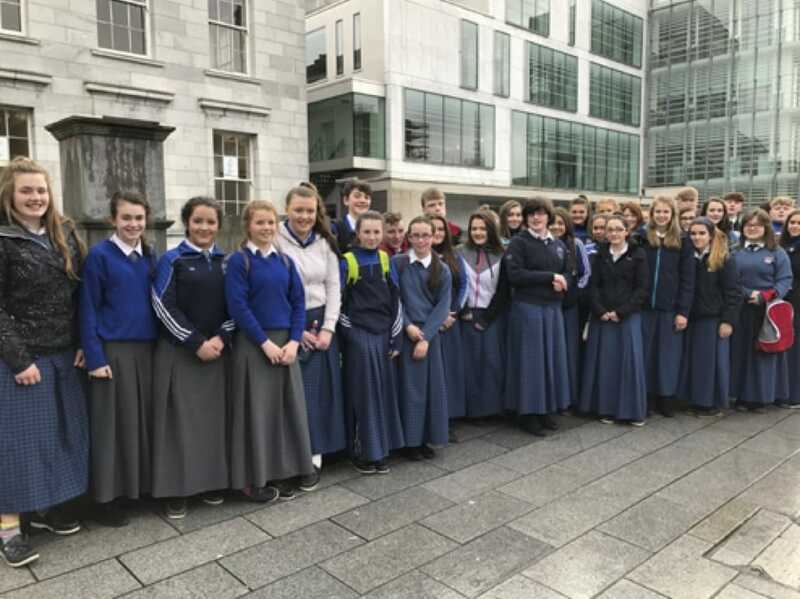 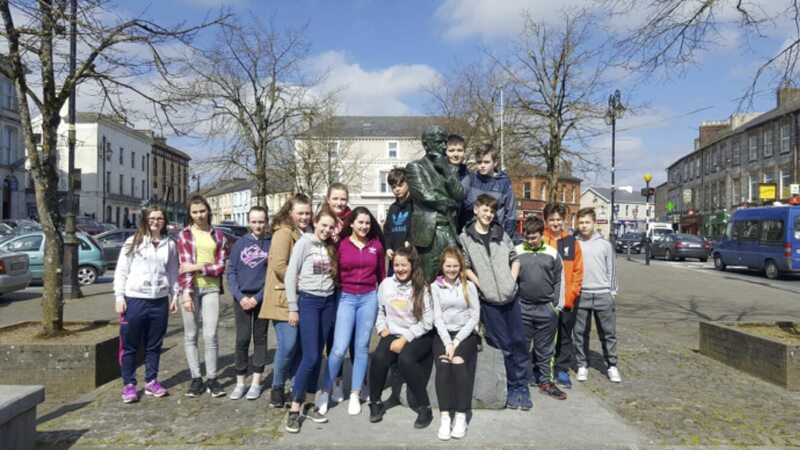 Desmond College students on a music trip to Cork to see Cork Pops Orchestra 2017 series, conducted by Evelyn Grant. 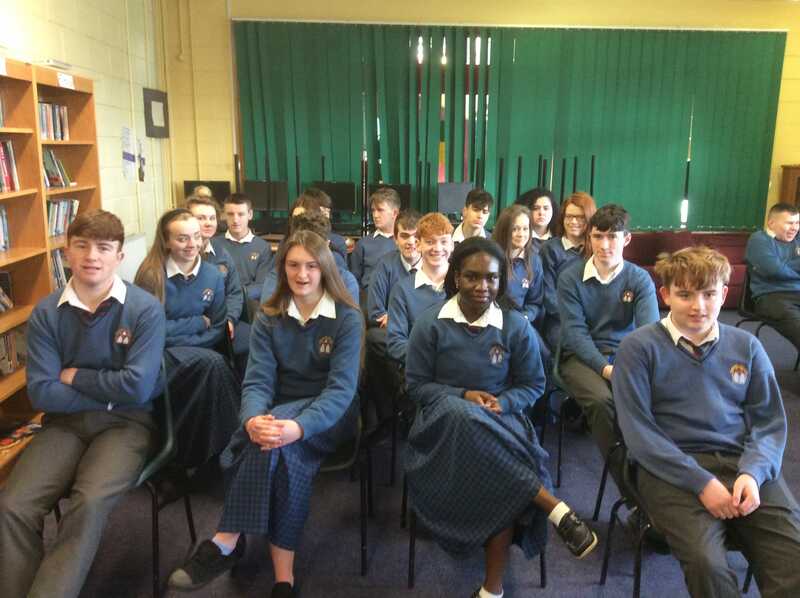 Some of the Music students in Desmond College Cork Pops Orchestra 2017 series, conducted by Evelyn Grant. 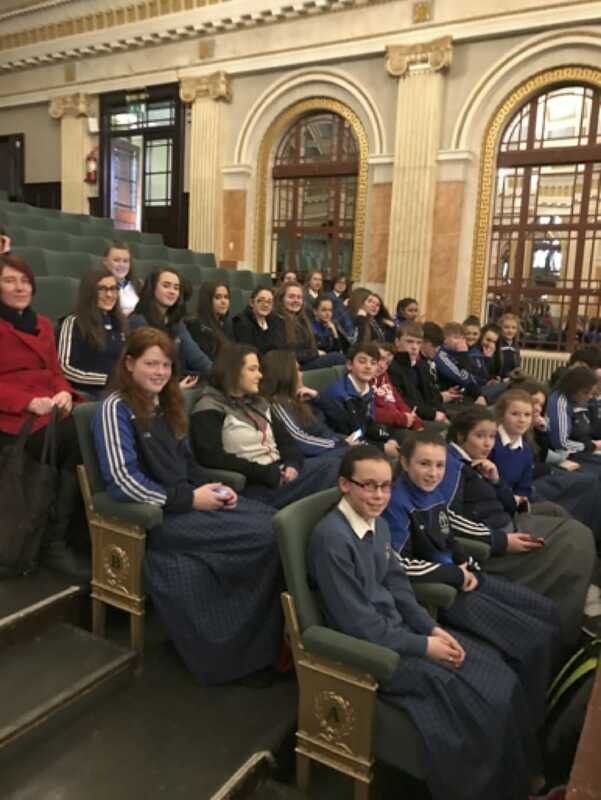 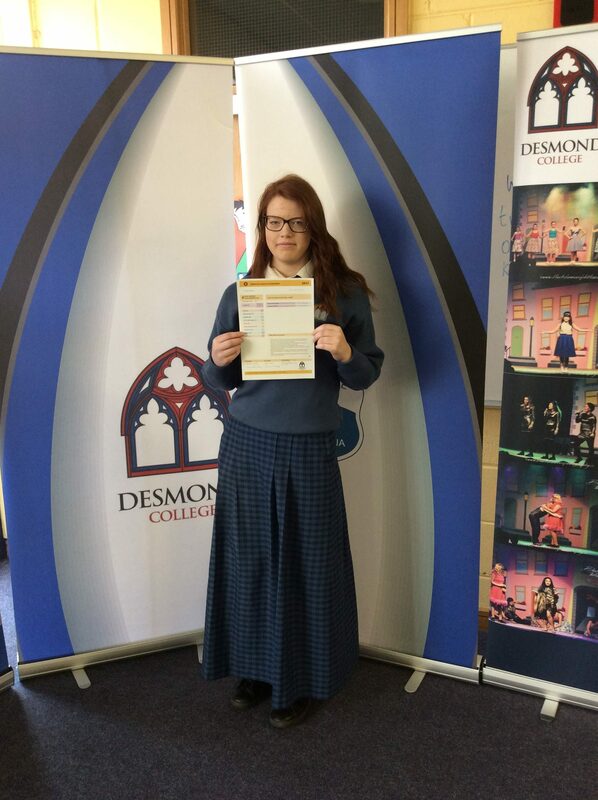 Ms McCarthy with a number of music students in Desmond College Cork Pops Orchestra 2017 series, conducted by Evelyn Grant.